I should start by saying I’m not really a cycling and have never mountain biked before. I own a bike which gets used once in a blue moon in the summer but is currently unloved in the shed collecting spiders. 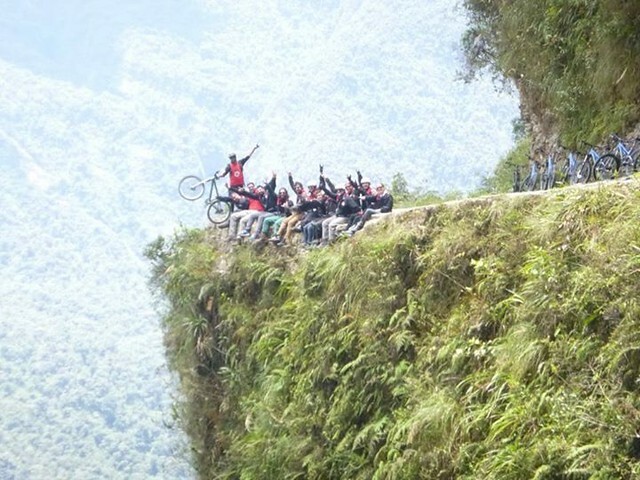 But since I was in Bolivia it seemed like a good idea to take up the chance to mountain bike the famous Death road. How hard can it be? Its all downhill after all. 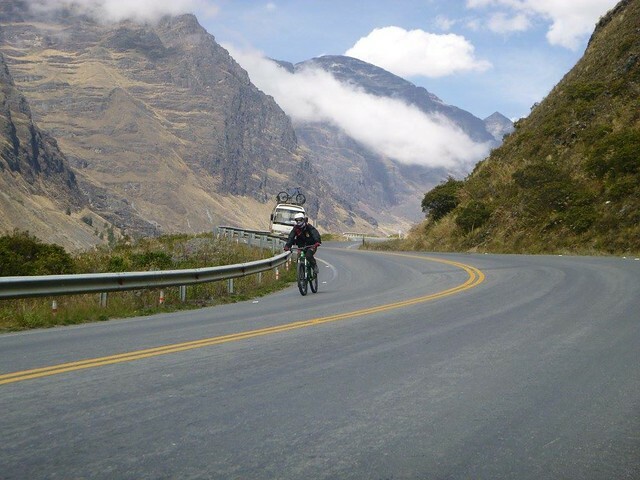 If you’re a strong cyclist or experienced at mountain biking, the Yungas road, or Death road isn’t that hard at all. But if like me, you’re a bit shaky on anything with front suspension, its a bit hair raising! 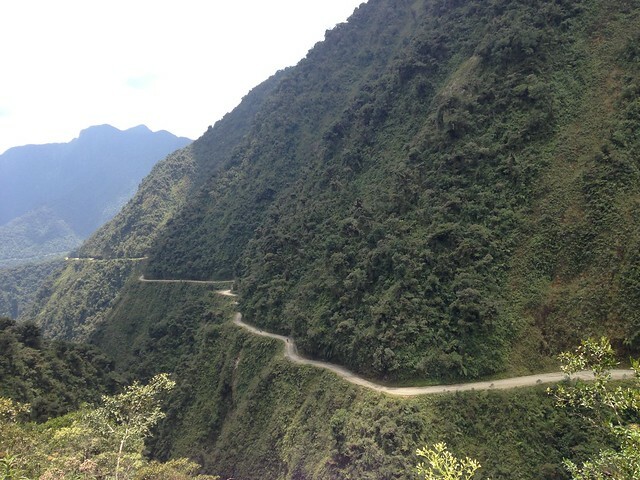 The 64 km route actually starts at the top of the hill with a long section on the road. 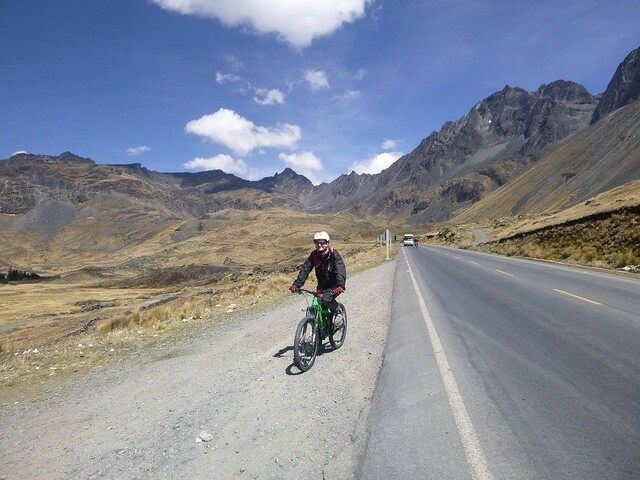 I was quite scared of flying over the handlebars with the power of the brakes so I avoided hurtling down the hill at lightning speed. 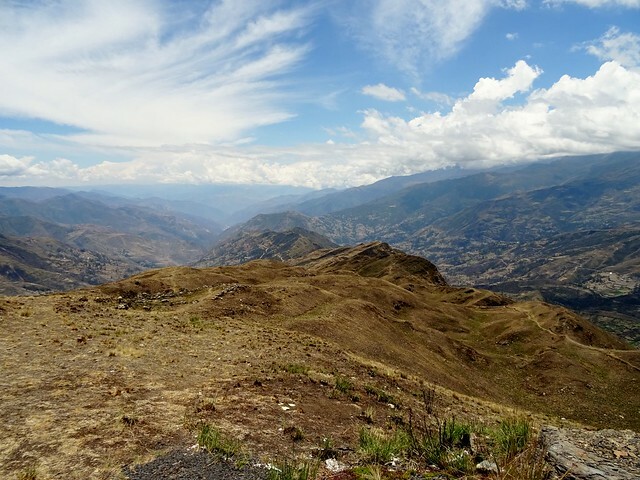 The top part of the route is actually very impressive, as you wind through the mountains, and despite being on the main road its not too busy that you feel threatened by traffic. Looking back up the valley you can just make out the route of the road. 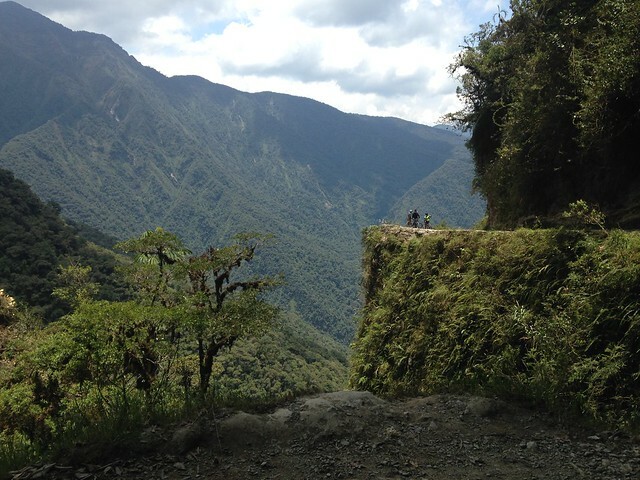 We jumped in the support van to avoid an uphill section before we reached the famous Death Road. 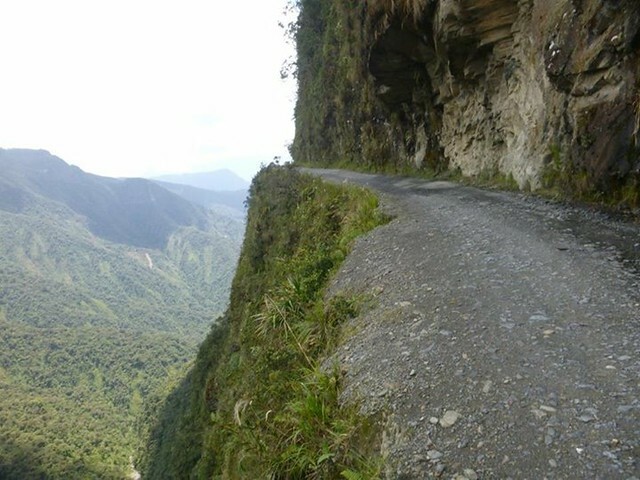 While it is still used by some vehicles, a new road was built in 2006 which diverts most of the traffic and provides a quicker and safer route between La Paz and Coroico. 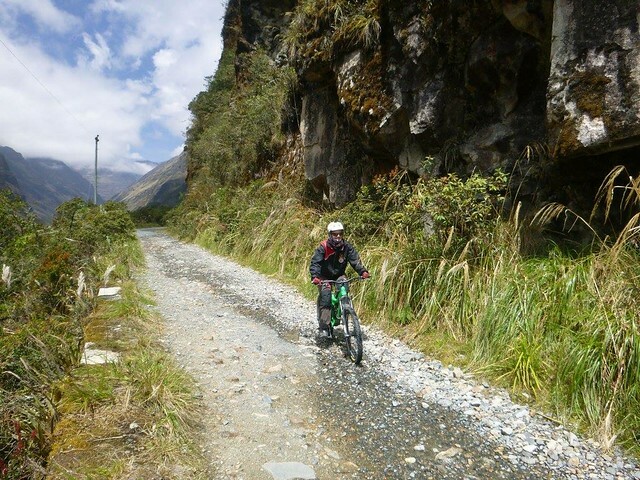 This makes the Death Road perfect for mountain bikers as very few vehicles now use the route. 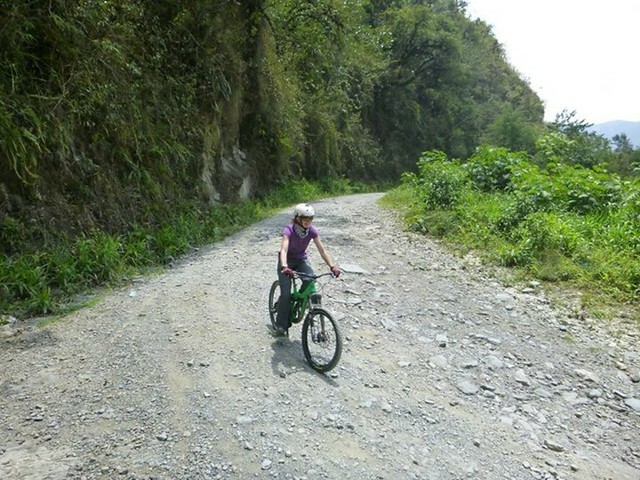 As you can see I was hardly hurtling down the hill as I entered Coroico! 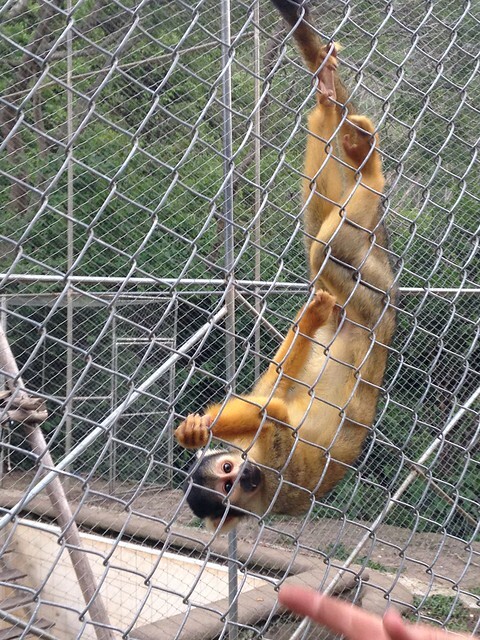 After a beer at the bottom of the road we drove to La Sena Verde, an animal sanctuary providing rehabilitation and release for monkeys from the pet trade. 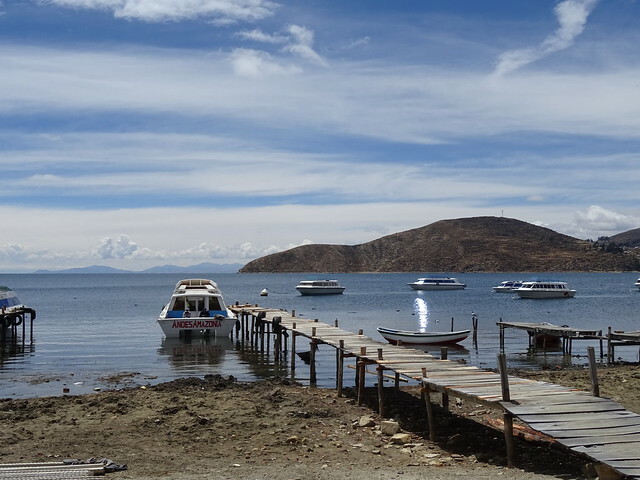 Its a great place to stop for lunch before the long drive back to La Paz. 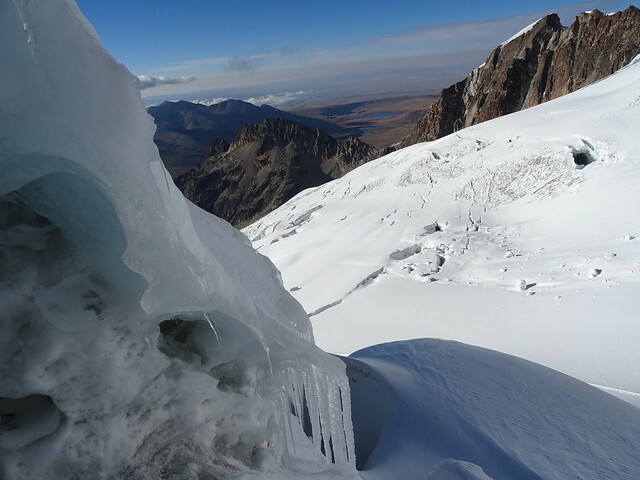 After failing to summit Ancohuma due to altitude sickness and deciding to bail out of the rest of the trip, I didn’t want to feel like a total failure and go home having not achieved anything. 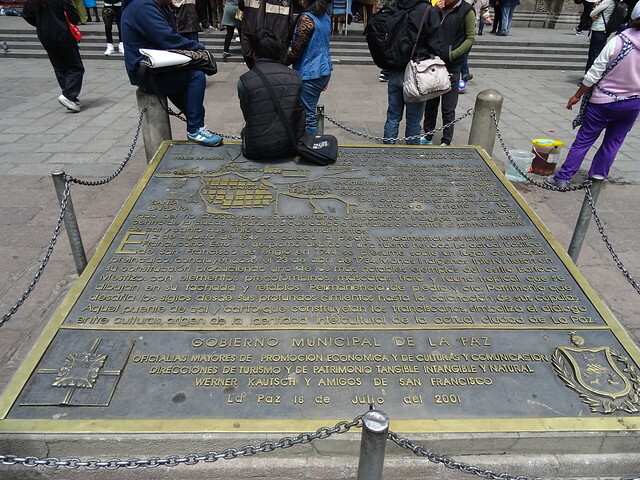 So I decided that Huayna Potosi was an achievable objective. 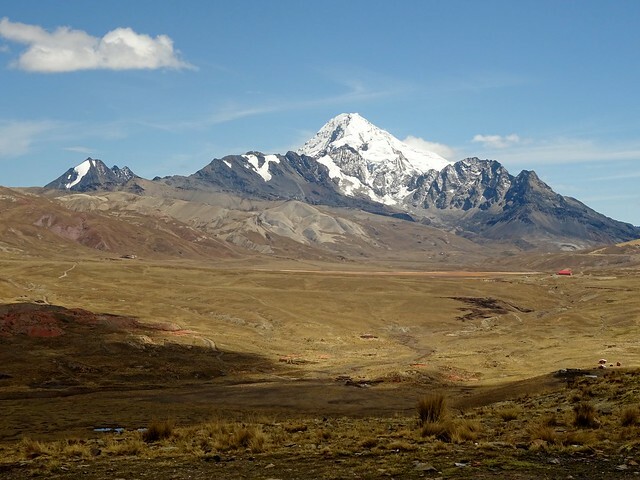 Huayna Potosi is frequently advertised as one of the world’s easiest 6000m mountains as it is easily accessible by road meaning it has only 1400m height to gain and only requires one night on the mountain. 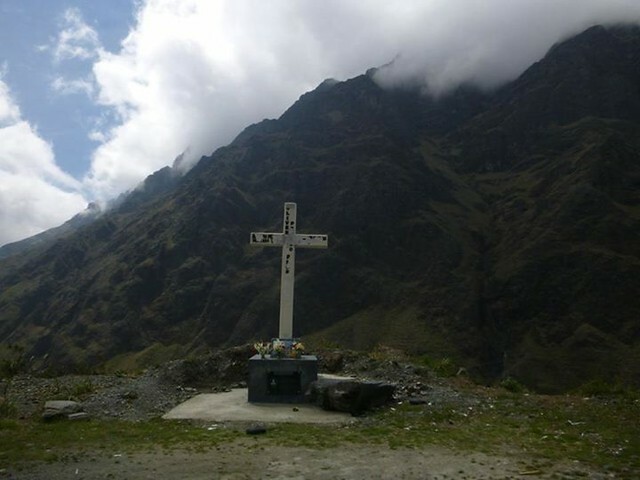 Its also the closest mountain to La Paz making it the most popular mountain in Bolivia to climb. 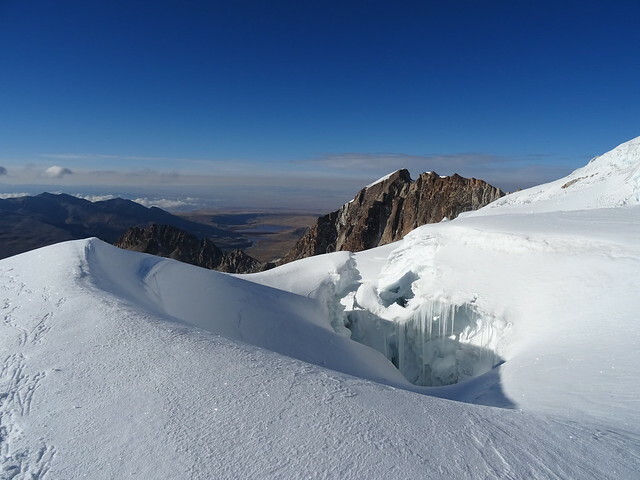 That said it is still a huge effort to climbing and while the normal route is incredible popular it is still graded PD and requires the ability to use crampons and axe. 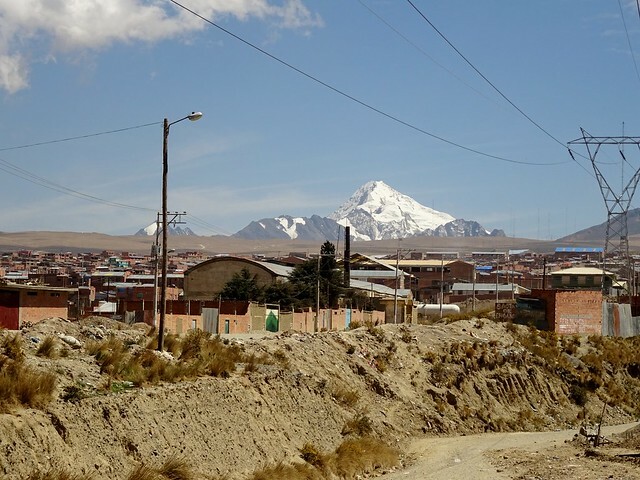 Driving to the mountain from La Paz takes you through El Alto and across the plateau on dusty back roads. 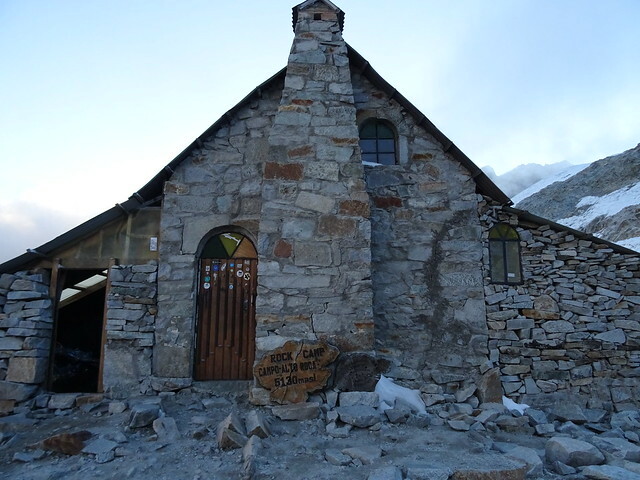 The climb starts at 4700m where a series of huts can provide an overnight base camp or equipment for those climbing the mountain as part of a mountaineering training course. 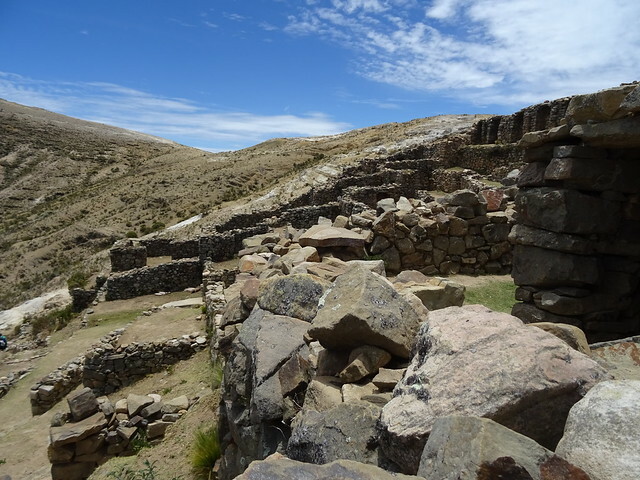 Having already spent nearly two weeks in Bolivia and having already been up to Ancohuma base camp at 5100m I felt well acclimatised as we ascended straight from the vehicles up to the high camp refuge at 5130m. 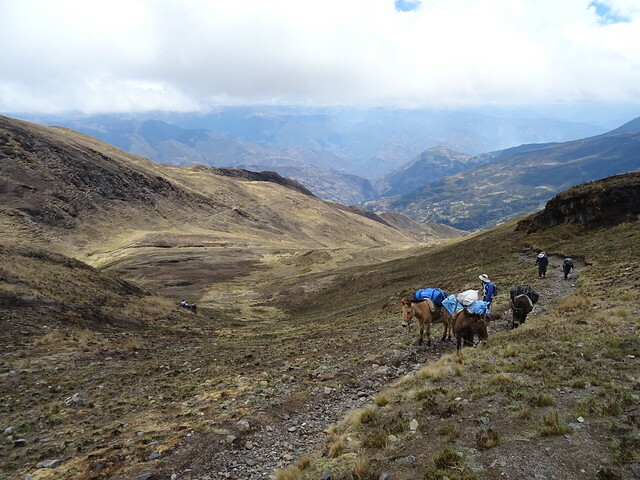 It was still hard going on the last steep stretch but with less than 500m to climb it wasn’t too challenging on the lungs. After food and some sleep we started the ascent at 12.30am for the summit. 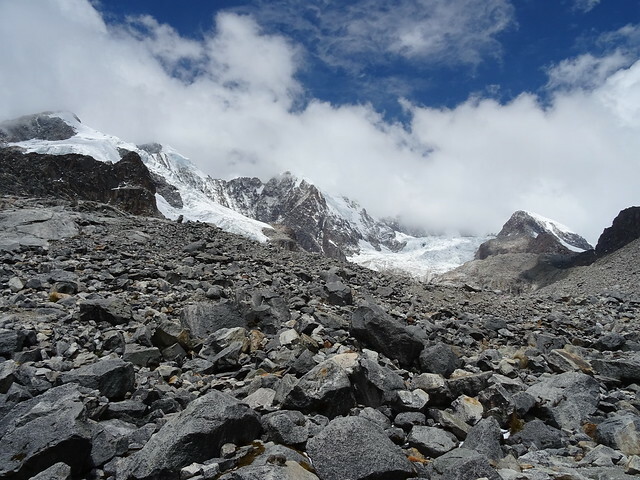 It only takes 20 minutes of scrambling on rock to reach the edge of the glacier. 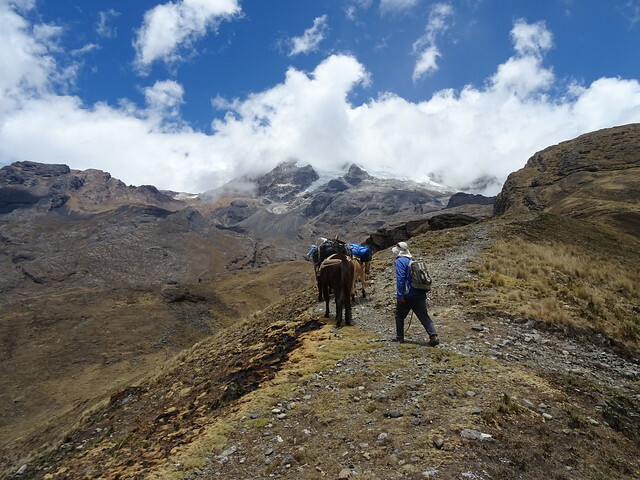 From there we slowly headed up the glacier on a well trodden route. 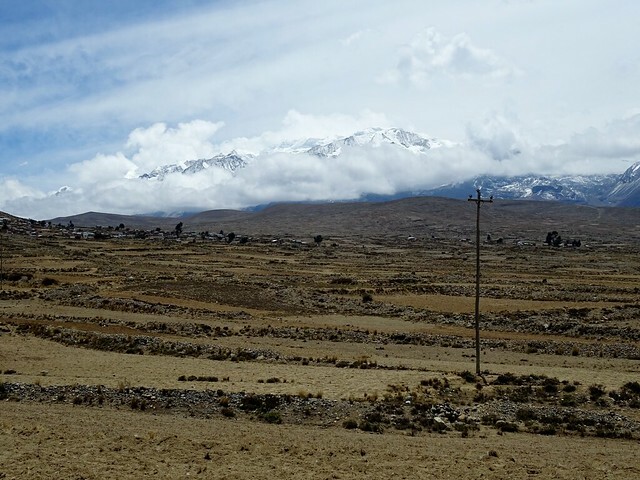 It reminded me of summiting Kilimanjaro 3 years ago – following a line of people in the dark with head torches on, and feeling like I was shuffling along hardly gaining any ground. 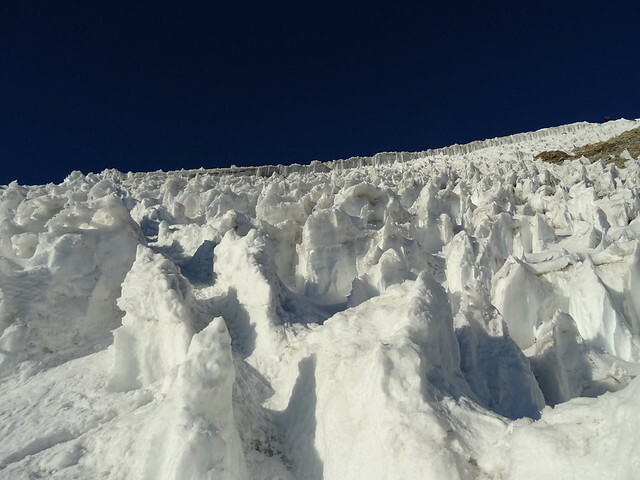 Half way up the ascent is a steep section of snow and ice at about 40 degrees which required us to climb, or with the altitude it felt more like crawling with the aid of an axe. Later I’d rappel down this in no time at all. 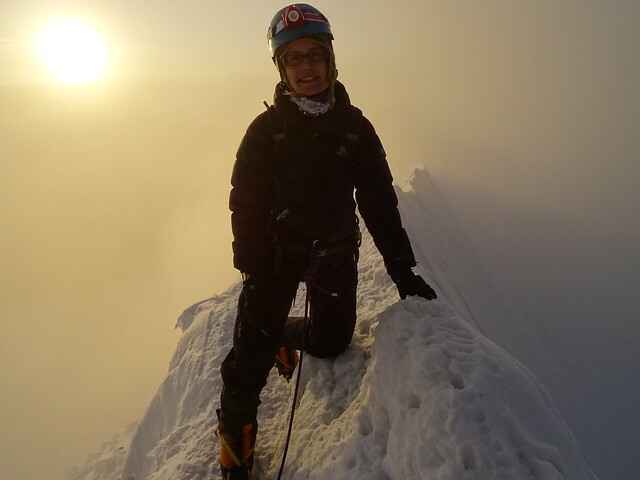 I reached the final rocky section of the summit as the sun started to rise, although I didn’t make the summit until 15 minutes after sunrise at 6.05am and unfortunately just at the same time the mist arose around the summit. 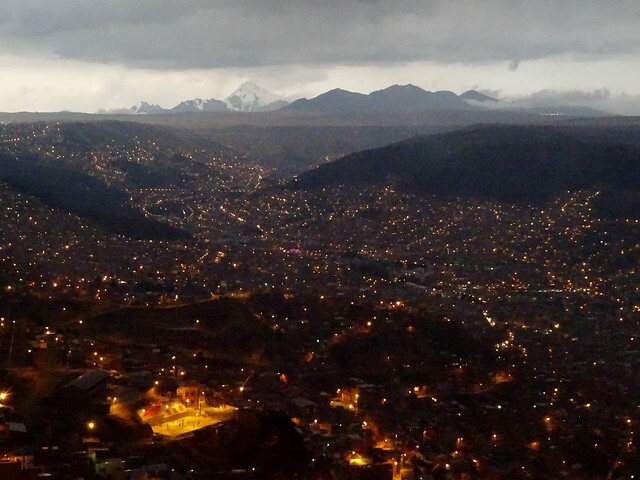 So no views of the city of El Alto below. 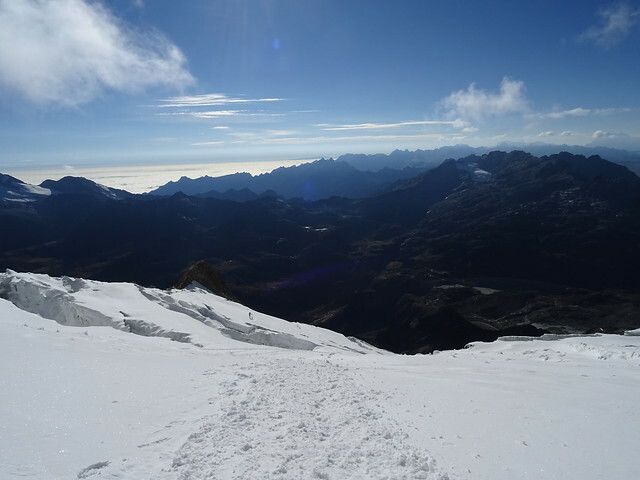 Ok so it wasn’t the more challenging summit of Illimani that I had hoped to climb, but it was certainly an achievement and my first 6000m summit. 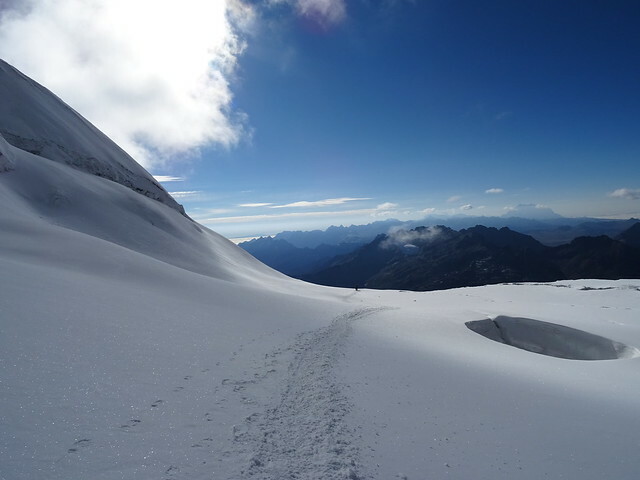 On the descent back down to the refuge it was fantastic to see the amazing glacier we had crossed in the dark. The section I climbed up and rappelled down, the route running diagonally. 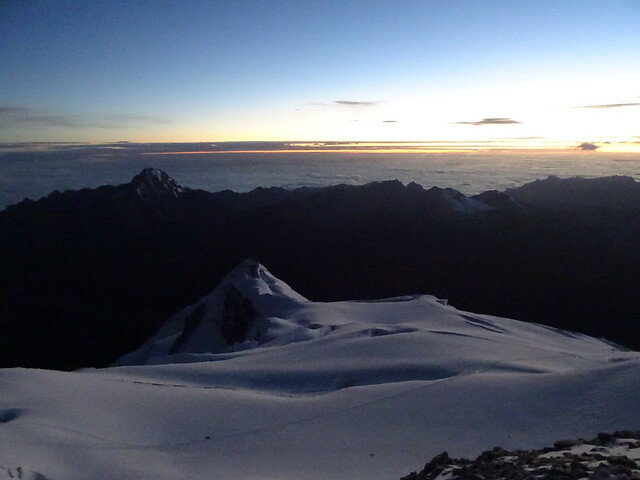 What took me 5 and half hours to ascend in the dark, stopping frequently to breathe and slow my heart, I descended in 2 and half hours in the daylight. After an hour break at the refuge we packed all our gear and hiked back down to the road. 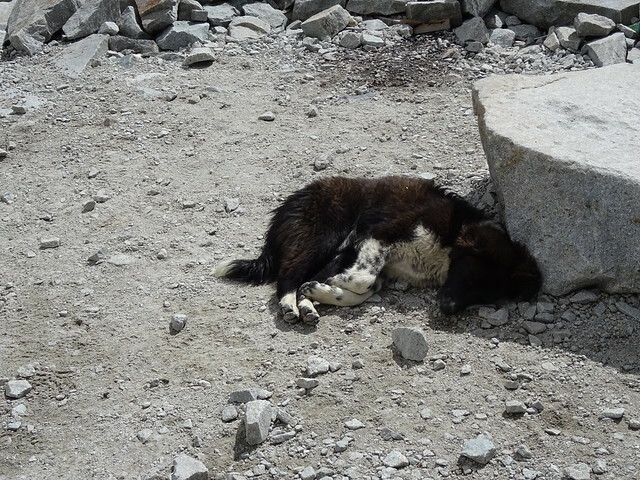 This little guy was sleeping at the refuge when we got back, I’m not surprised really as he’d managed to navigate the glacier until the steep section so had spent all night following us up the snow in the dark! 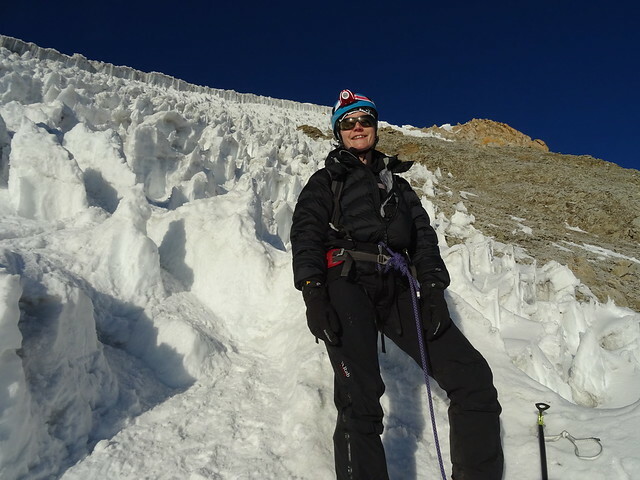 Huayna Potosi might be the most climbed mountain in Bolivia, and its accessibility might make it an easy first 6000m mountain to choose; but I was still shattered by it and proud of myself for making it to the top. 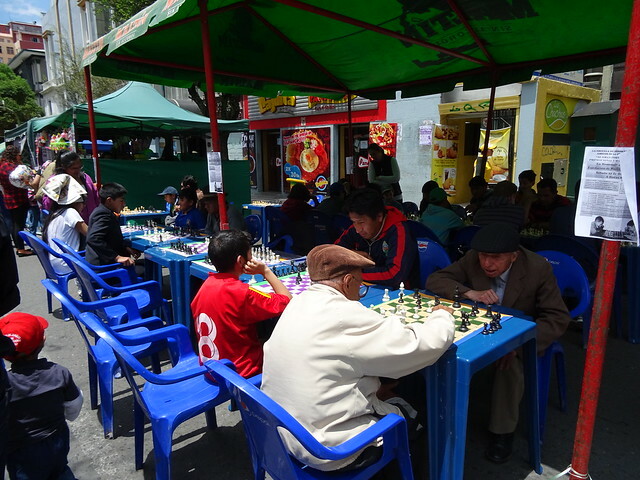 Its a 6 hour drove from La Paz to Copacabana on the bus. 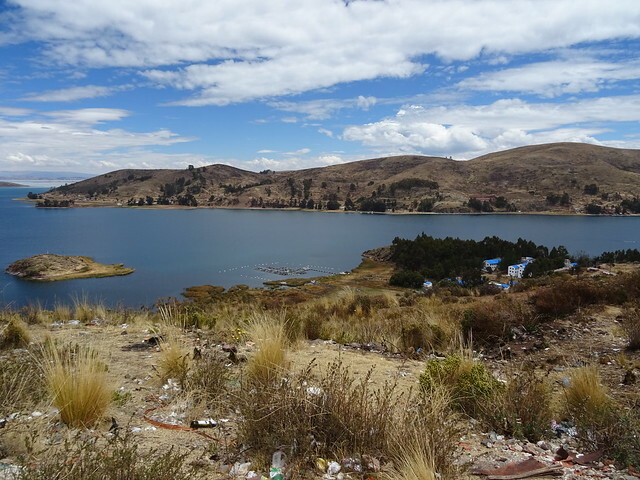 Negotiating the insane traffic and roadworks around El Alto’s ever expanding construction area and then along empty roads winding through the hills alongside Lake Titicaca. 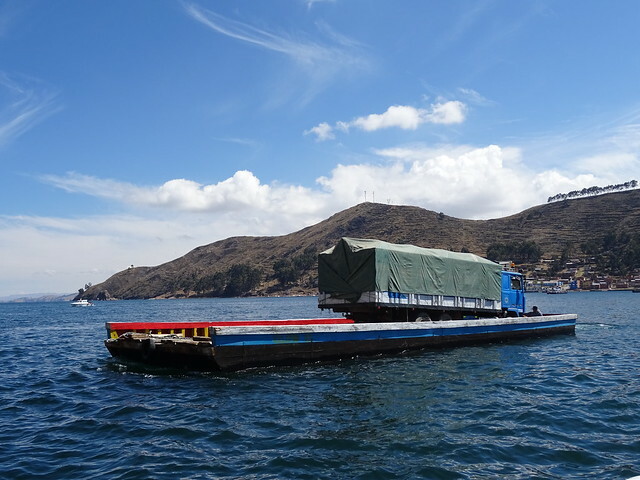 The journey also includes a short crossing of the lake at Tiquina on a barge. It initially puzzled me why a bridge hasn’t been built across the short distance – but as the barge owner pointed out, why is a bridge needed when the crossing provides work for numerous men on the barges. And why the hurry? 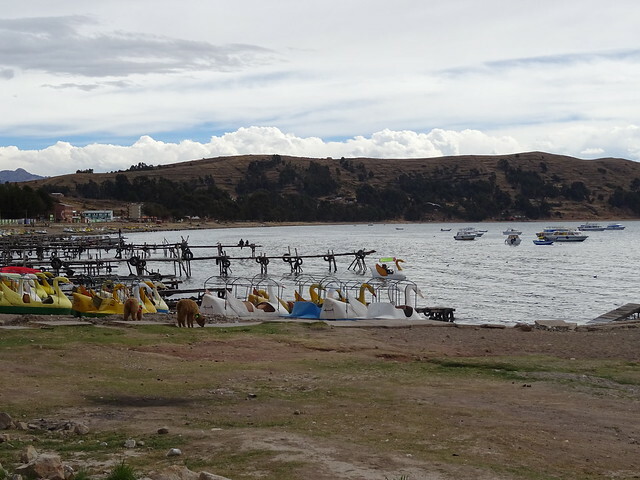 Copacabana is a popular tourist area as the last stop in Bolivia before you reach Peru. 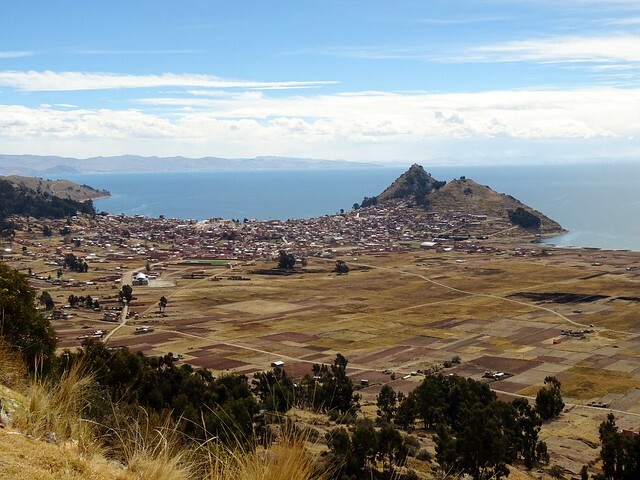 Despite Lake Titicaca predominantly belonging to Peru, the Copacabana peninsula and the Isla del Sol are part of Bolivia. 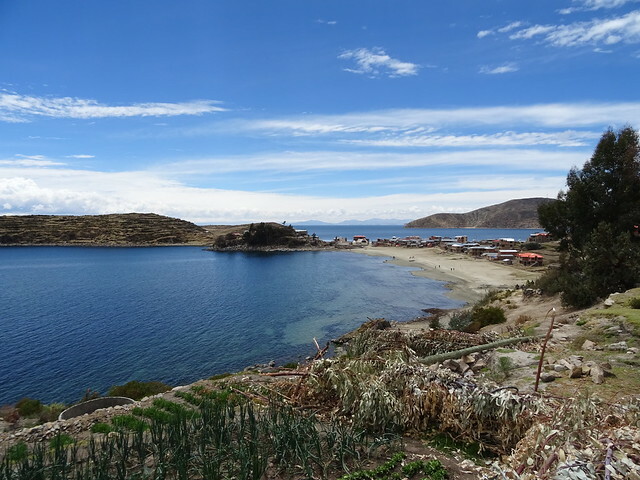 After an afternoon soaking up the sun in Copacabana and slowly wandering around (its still at 3850m high so its knackering to even wander the streets) the following morning I caught the boat for a 2 hour trip to the Isla del Sol to Challapampa at the north of the island. 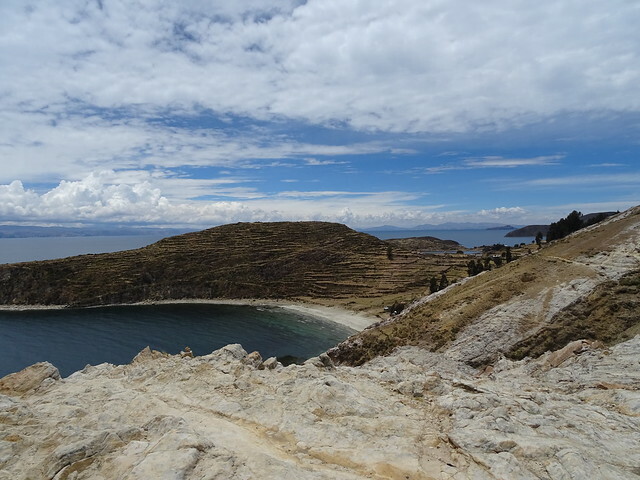 The Route of the Isla del Sol or ‘Island of the Sun’ is a 9km high level footpath that runs the length of the island and provides fantastic views across the lake, as well as providing access to Bolivian Inca ruins. 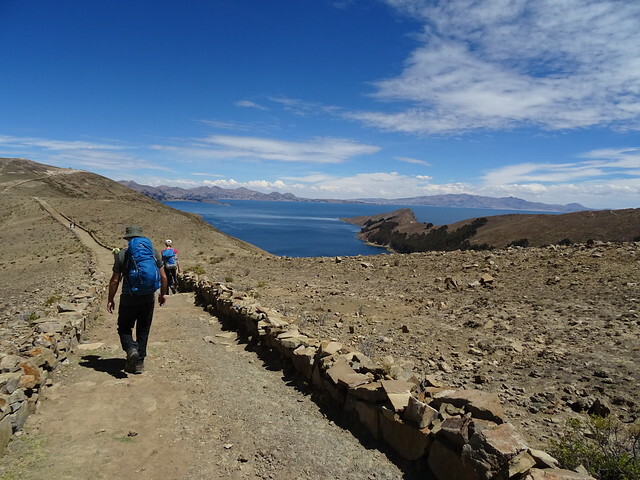 9km isn’t far at all and shouldn’t be a problem at all, but approaching 4000m high the impact of the altitude was knackering and in the baking sunshine I had to stop every so often for drinks and a breather. 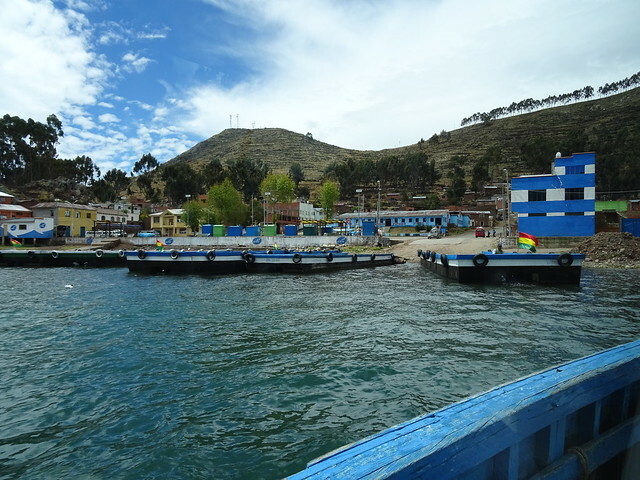 Finally arriving at Yumani in the south was a relief to cool in the shade before getting the boat back. 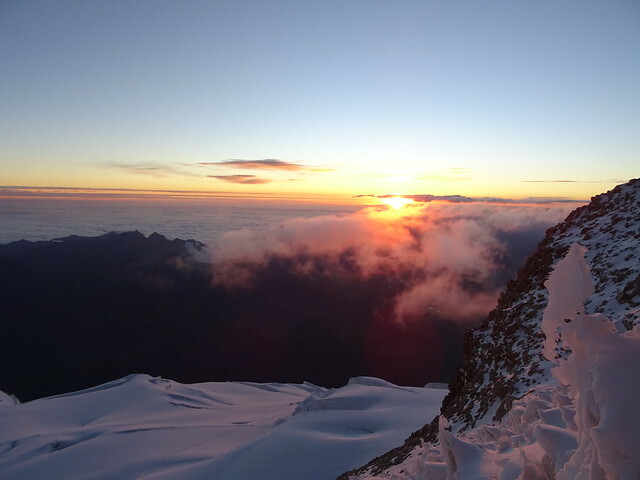 Mid October I’d flown to Bolivia with the intention of climbing three 6000m peaks – Ancohuma, Illimani and Sajama. 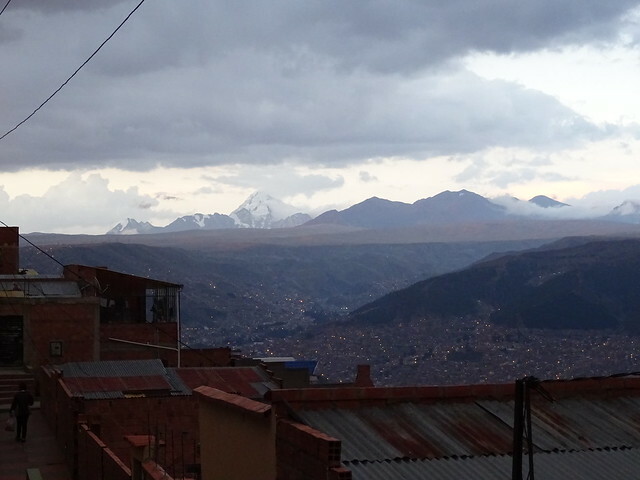 The three highest peaks in Bolivia. 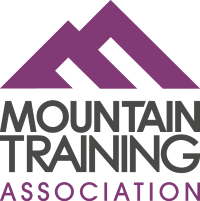 What happened instead proved to me that mountaineering is relentlessly punishing and that the desire to climb mountains is sometimes something that is only enjoyed in retrospect. 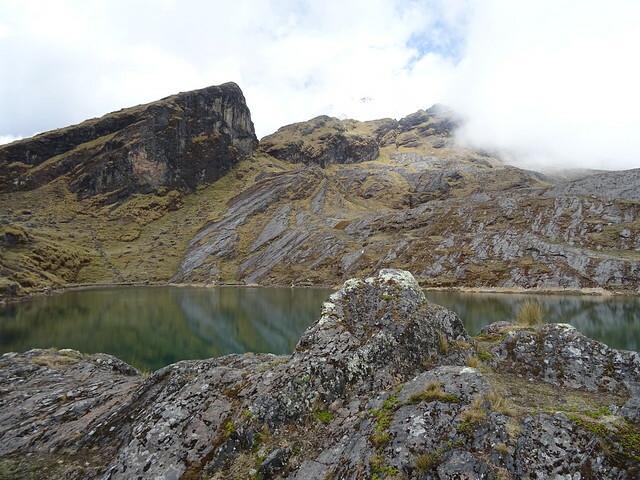 Ancohuma at 6430m was our first objective, and we climbed to its base camp at 5100m in 5 days. 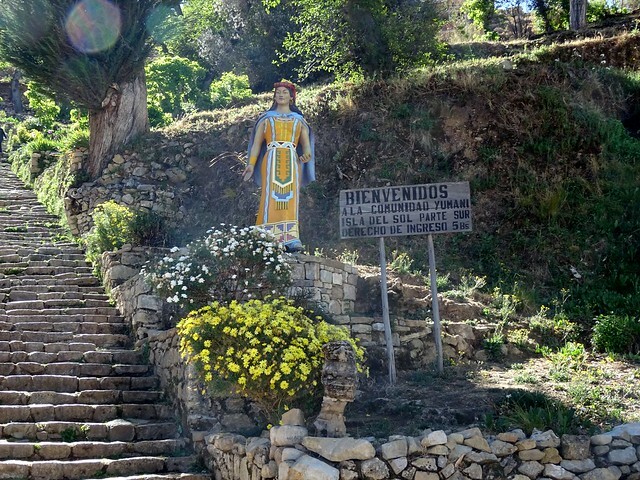 Nestled in the Cordillera Real mountain range Ancohoma is about 4 hours north of La Paz and a half hour drive from the nearest town of Sorata to the start of the trail. 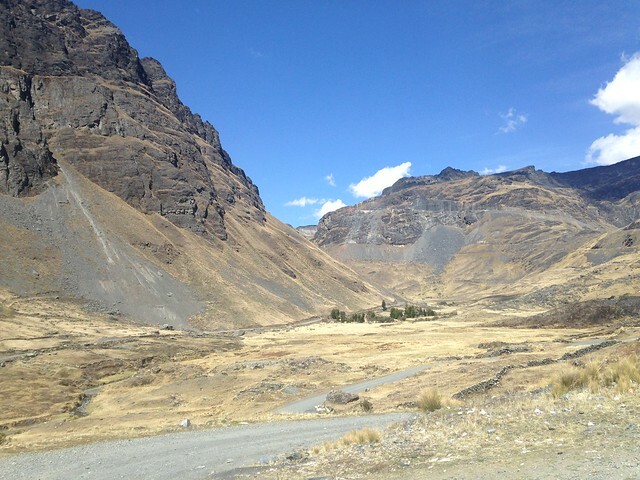 The landscape is amazing and once away from the outskirts of La Paz the country is beautifully empty. 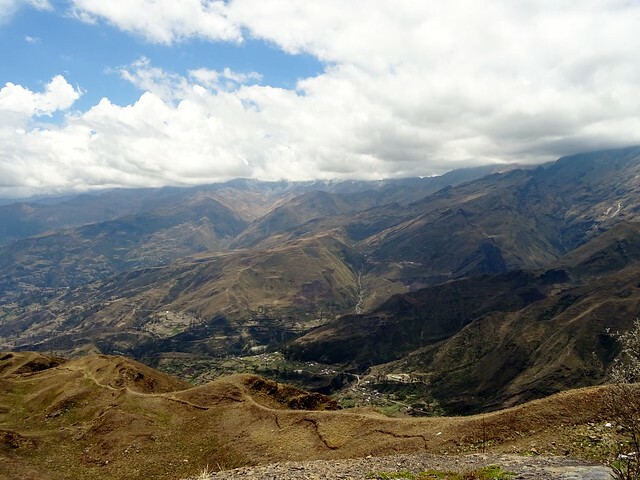 The valley around Sorata is terraced with farms providing hints of green in the otherwise brown and barren landscape. 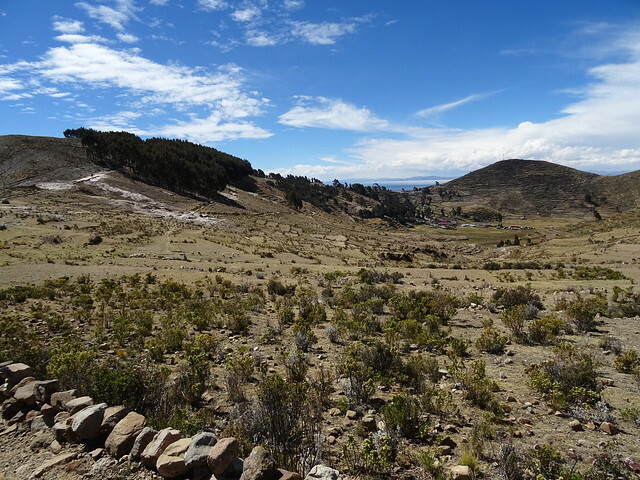 We set off from a small farm high in the mountains above Sorata at 3200m and after a night camping we headed up to Laguna Chijillata at 4200m. 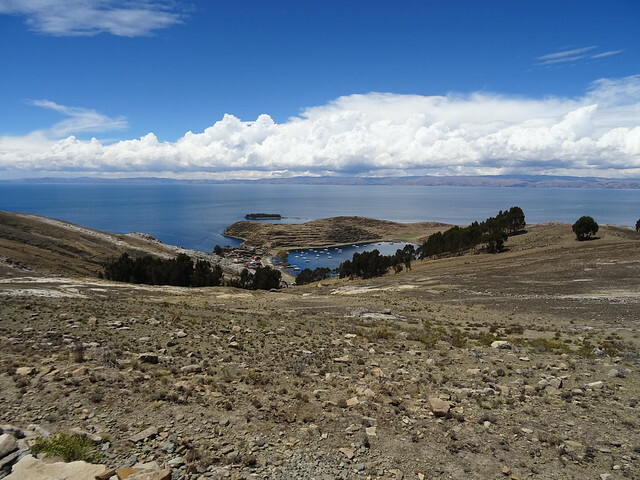 Laguna Chijillata, whilst high at 4200m it is still grazing land for Alpaca and en route to an active mine used by local communities. It is nevertheless still an impressive landscape. 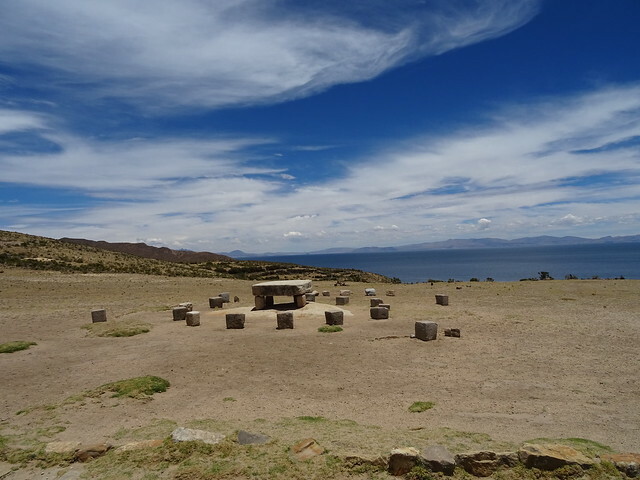 It was from Laguna Chijillata that we saw our first view of Ancohuma summit. 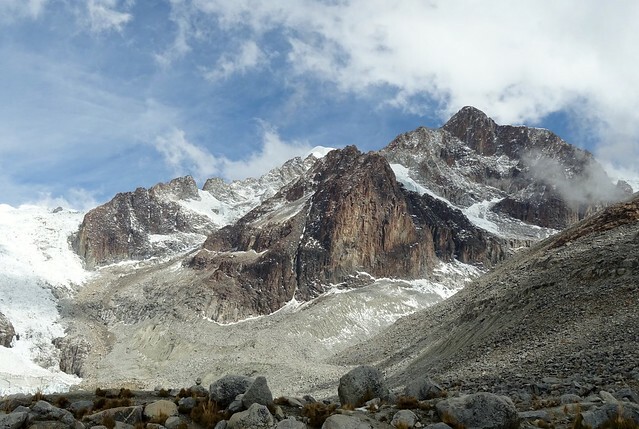 After an acclimatisation day we headed to Laguna Glacier which is Ancohuma’s base camp, at 5100m. 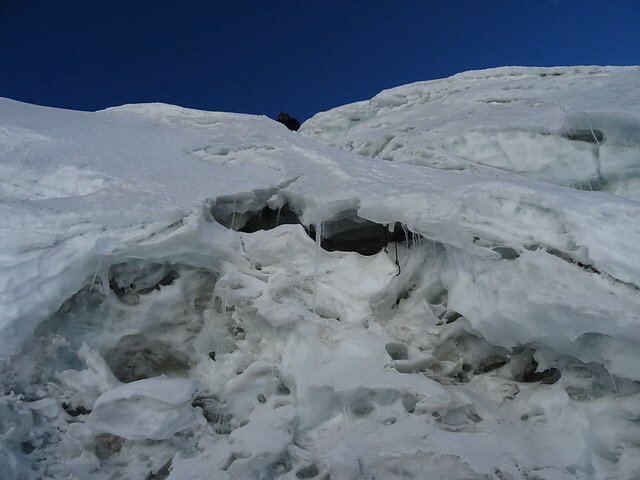 The route becomes more rocky close the glacier and in the glaring sunshine it was hard work ascending to that altitude. 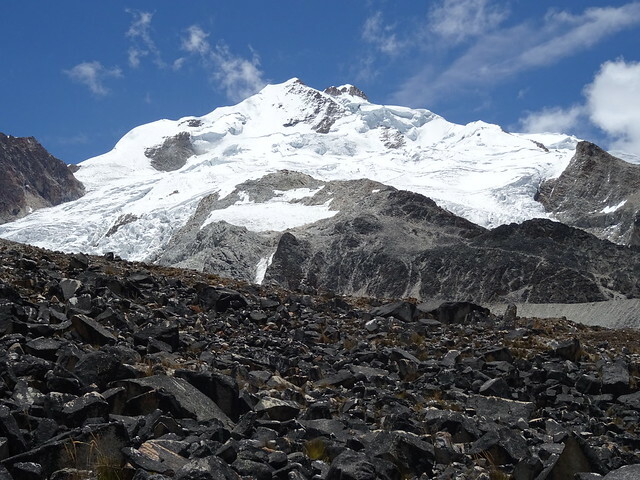 Unfortunately for me whilst we did have an acclimatisation day at Laguna Glacier, I spent the whole time sick, and it would have been foolish to try to summit. I hadn’t eaten a thing for two days, couldn’t keep anything in me and hadn’t slept a wink. 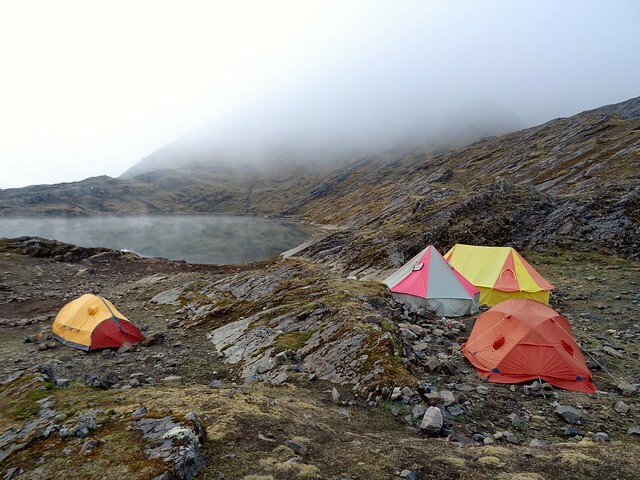 When I found myself running out of the tent numerous times in the night, (including one time when I only just got my head through the zip in time), it was clear I was struggling with the altitude. 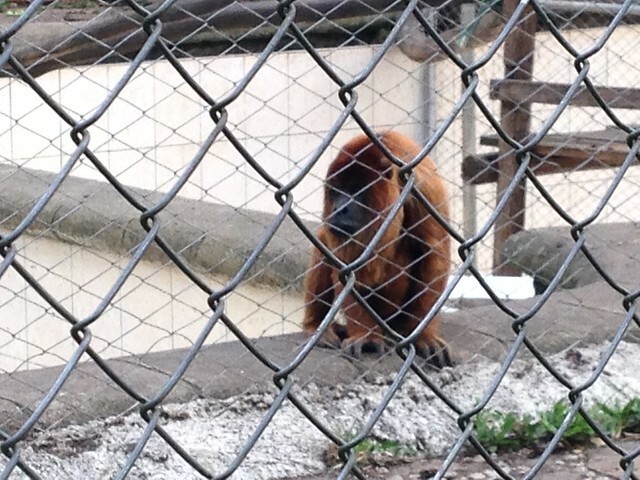 I felt sorry for Paula who was sharing a tent with me. When I’m staring at the roof of the tent wide awake and thinking about all the things I could be doing instead of being awake because my brain says its not getting enough oxygen, I had to consider my options. 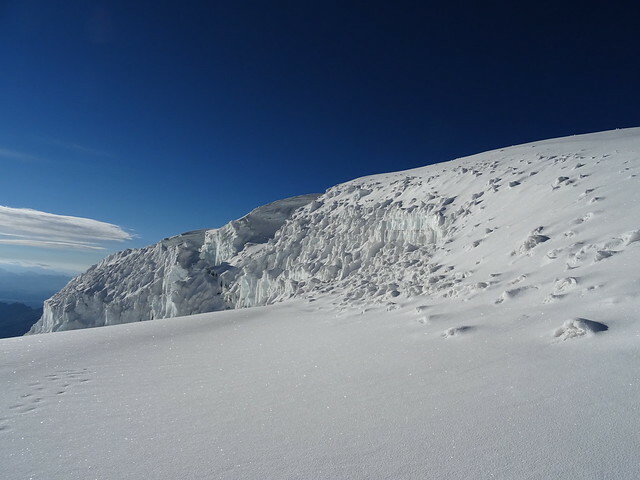 It was a hard decision, having made it to that point, but I decided to turn around and not go for the summit. I doubted if I had the energy left in me having not eaten for days, I felt drained and weak and tired from lack of sleep. I was totally disappointed. I felt like a massive failure. I still do. 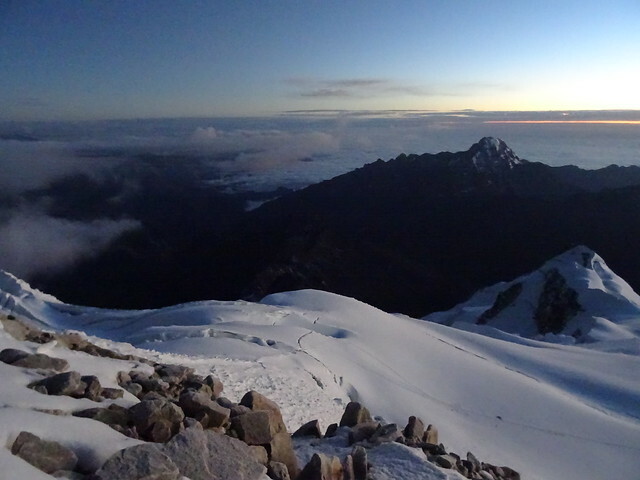 Though I didn’t know it then, the group would also fail to summit due to the weather on summit night. But that doesn’t reduce the feeling that I failed in my goal, and that I felt any longer term dreams of mountaineering I have might be over. 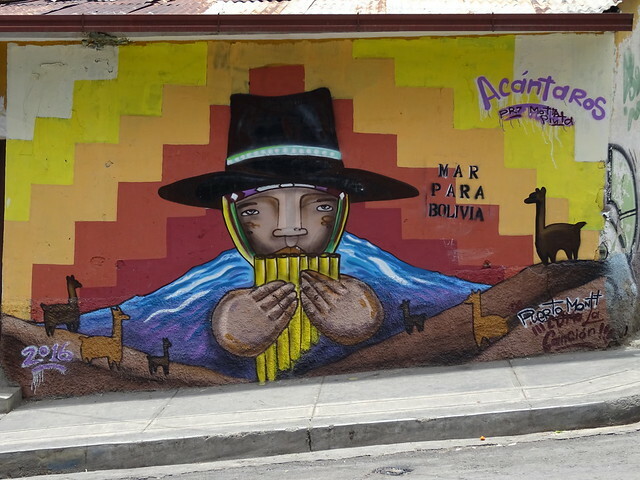 While I felt like a total failure as I got the bus out of the tiny town of Sorata for the 4 hour trip back to La Paz, I don’t regret my decision to bail out. 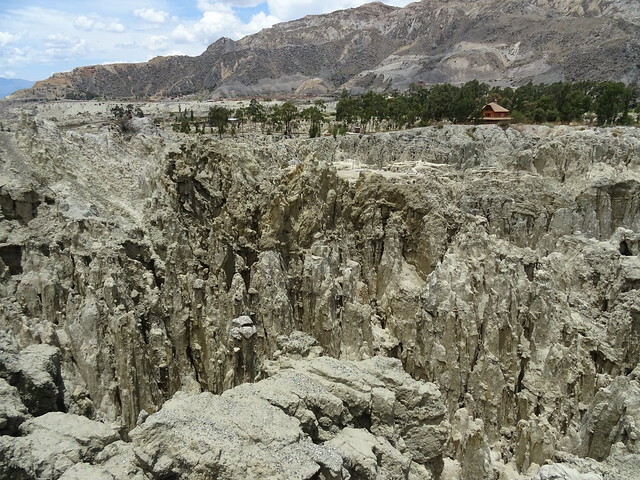 I felt broken as we trekked back down the mountain, every effort to put one foot in front of the other was exhausting. I knew I wouldn’t have made the summit when the walk out was a massive effort. Knowing when to turn around is important. 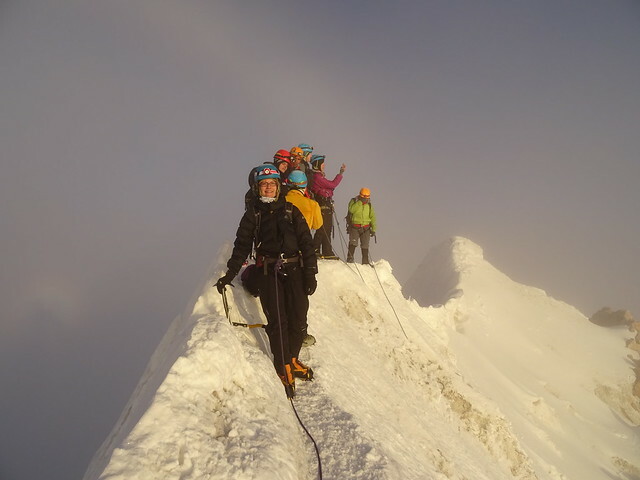 I would have jeopardised my own health and the summit success of the rest of the group had I attempted to continue. So what went wrong and what did I learn? 1. 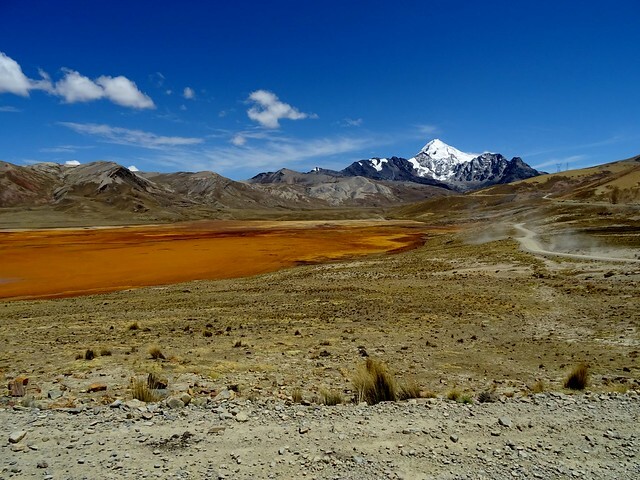 Water – the water around Ancohuma was high in minerals and having found myself struggling to digest food with such rapid ascent at altitude, even the water became a struggled to keep in me. 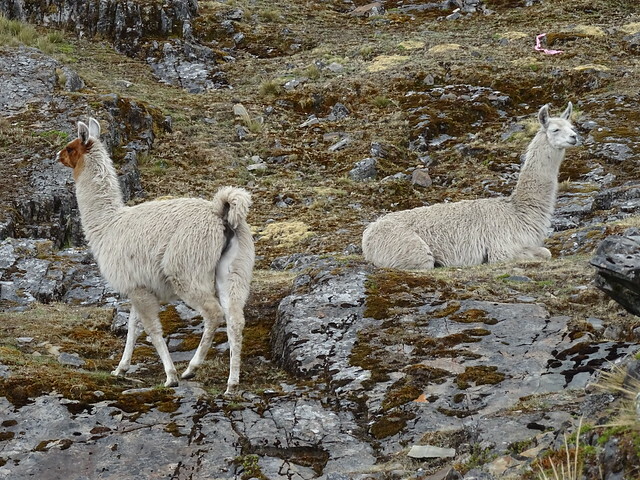 At high altitude I needed to be drinking over 4 litres a day and I wasn’t even managing one. 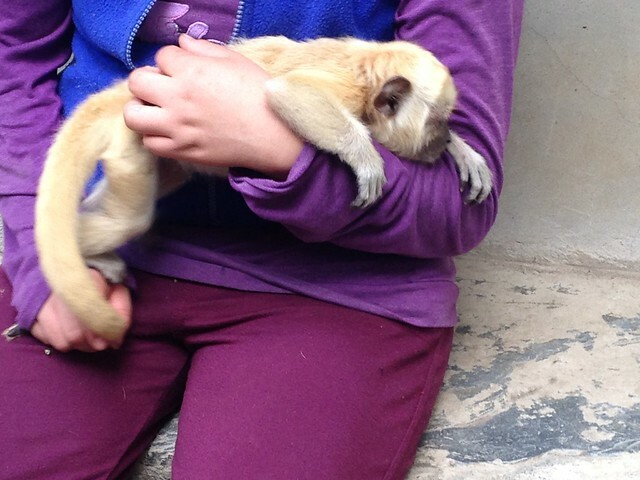 This reduced my ability to acclimatise. 2. 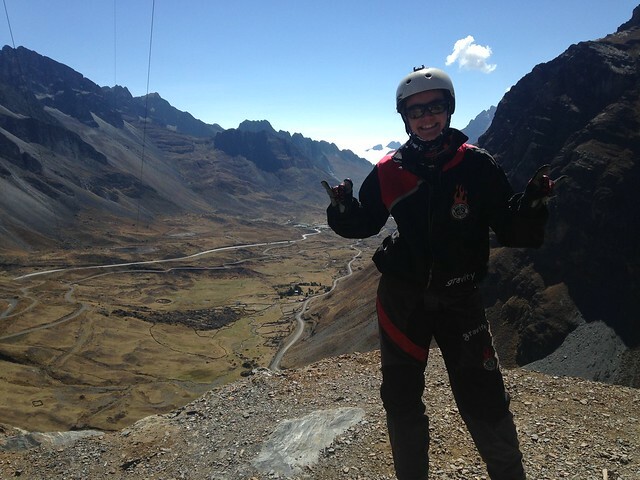 Nutrition – I’ve lost my appetite at altitude before but not so low. 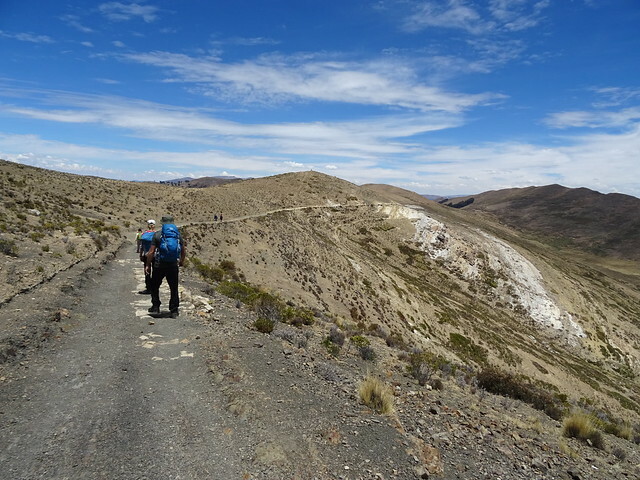 There was still two days and over 1400m of ascent left. In retrospect I also don’t think I was eating enough calories from the start which is something I need to ensure in the future. 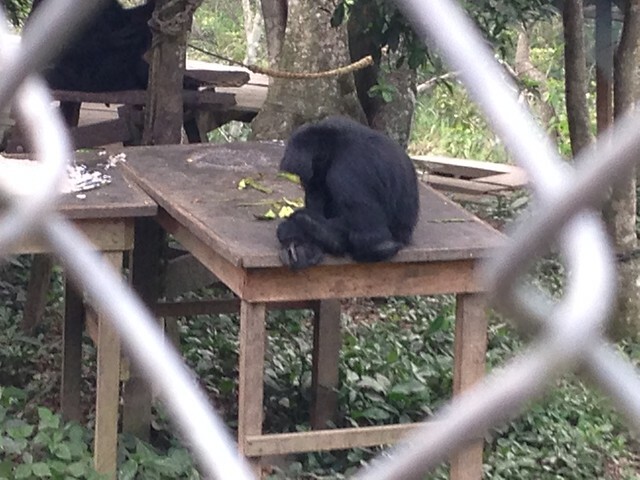 As a vegetarian I was getting fed and then food was having meat added so the meat eaters were always getting seconds. This would have been useful at lower altitudes to build my calorie intake. I don’t like taking supplements but in future its something I’ll seriously consider to ensure I’m not depleting my reserves too early. The food wasn’t highly calorific anyway. 3. 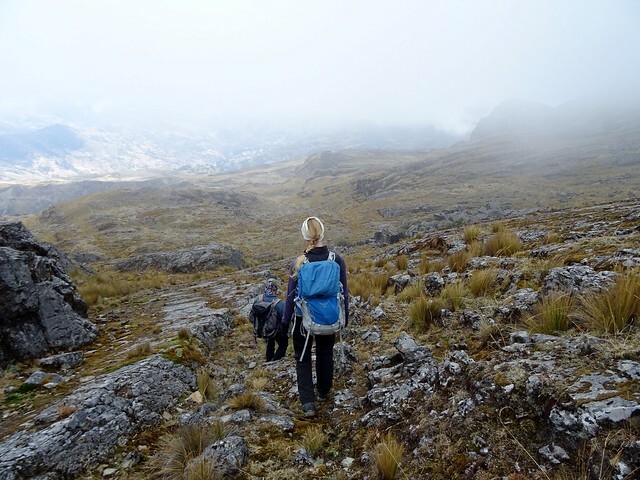 Choose trips carefully – just because I’ve climbed high before doesn’t mean I can again. 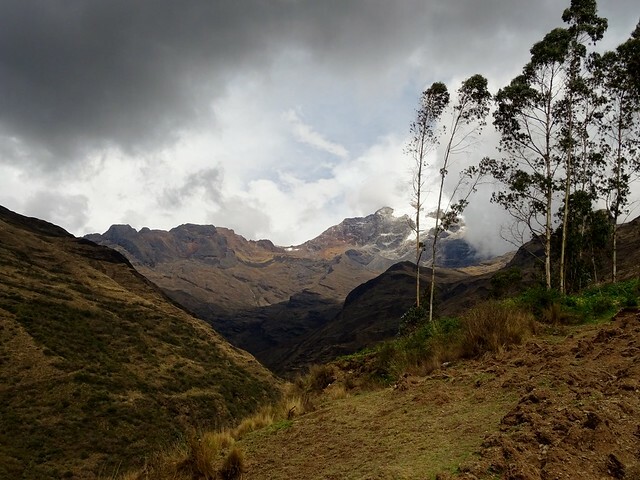 Altitude sickness is known for not being consistent and just because I’ve been fine before doesn’t mean I would be again. 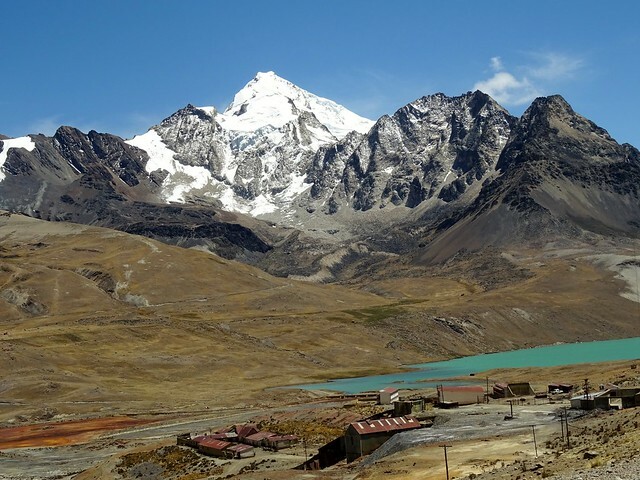 I chose Bolivia as it sounded impressive to bag three peaks and already start so high, but flying into 4000m and not having a week to acclimatise is a massive mistake. 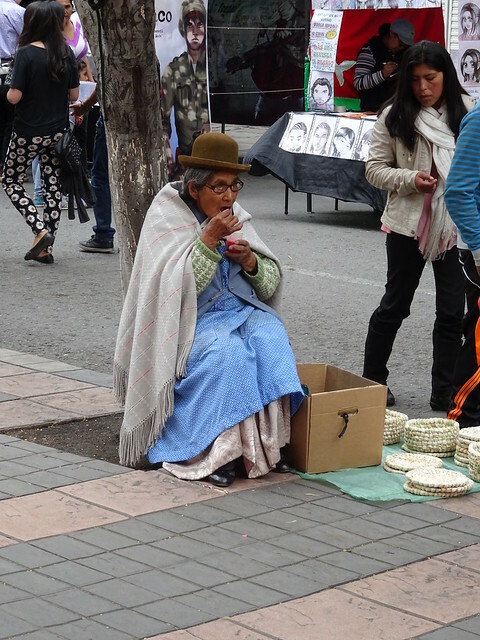 It wasn’t until well into my second week in La Paz that I started to feel better. 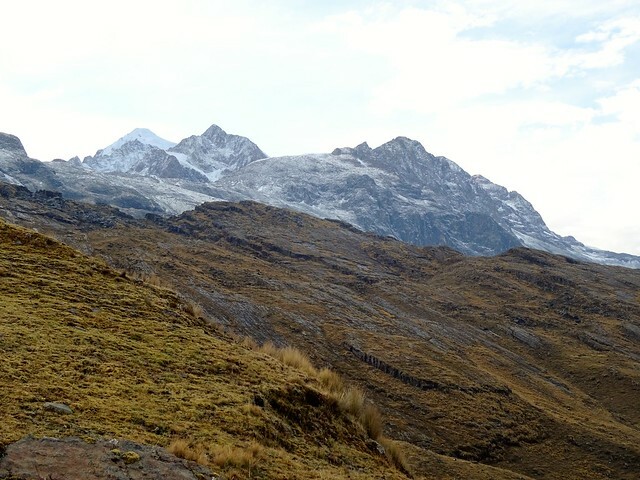 I’d spent my first week being too active so when it came to the mountaineering I started to suffer with the effects of altitude much earlier than I would usually and much more severely. I’ve only had minor headaches in the past. 4. 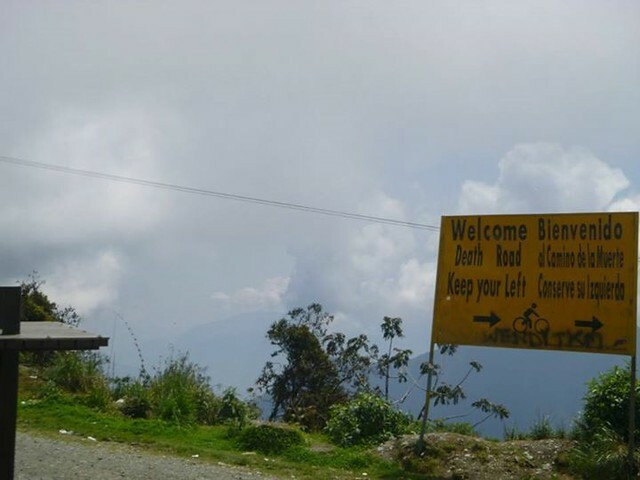 Choose trips carefully – harder isn’t always better, especially high up. 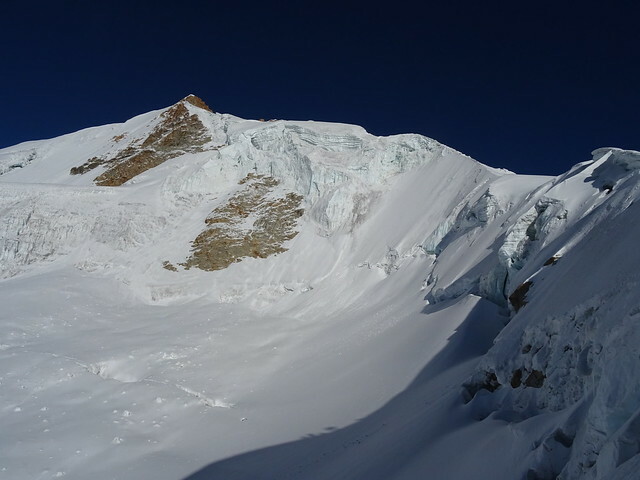 I thought that as I’d almost summited Mera Peak if not for the weather, why not try something more difficult. Apart from the altitude Mera was technically easy. There’s a crucial bit in that. APART FROM. Altitude is never easy and just because something is high it doesn’t have to be hard. High IS hard!! 5. 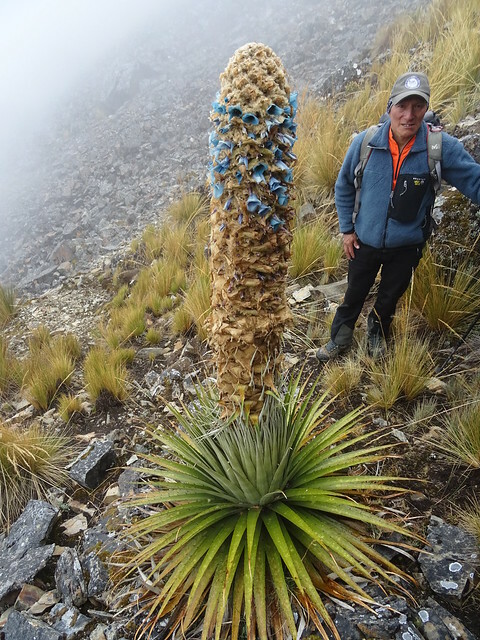 Research – October is the start of the wet season in Bolivia, something that I hadn’t considered and was ultimately the reason the rest of the group failed to summit Ancohuma. 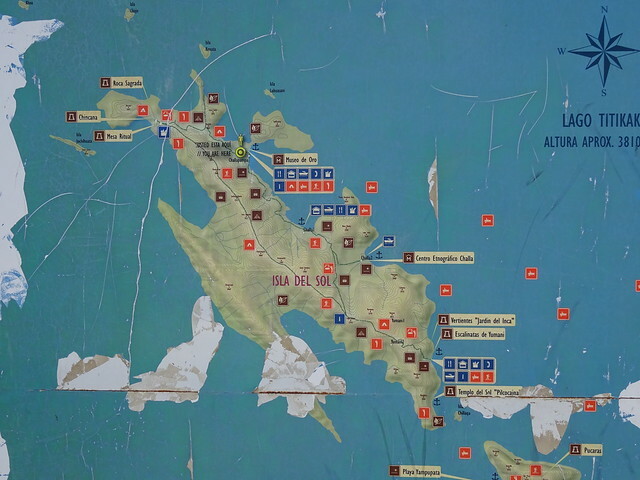 I also didn’t research acclimatisation along the route to make my own mind up as to whether I felt it achievable. 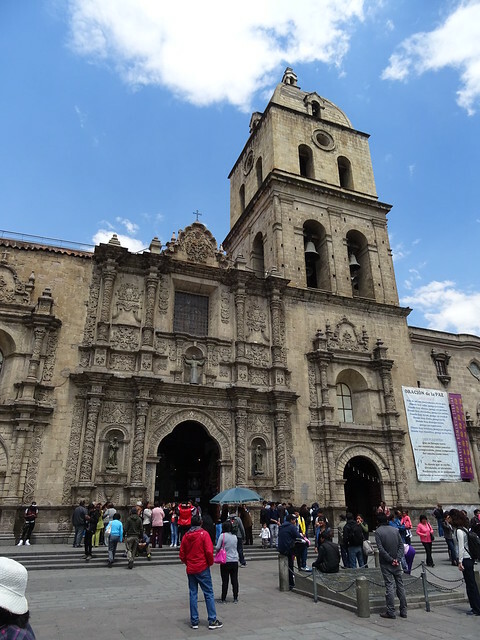 I trusted the company to be right – but their altitudes for locations along the route were wrong, leaving height gain per day to be more than I expected. This was fine for the rest of the group, but not for me. My inability to put my head down and bear and grin it in this instance just to bag the summit makes me feel I’m not a mountaineer. 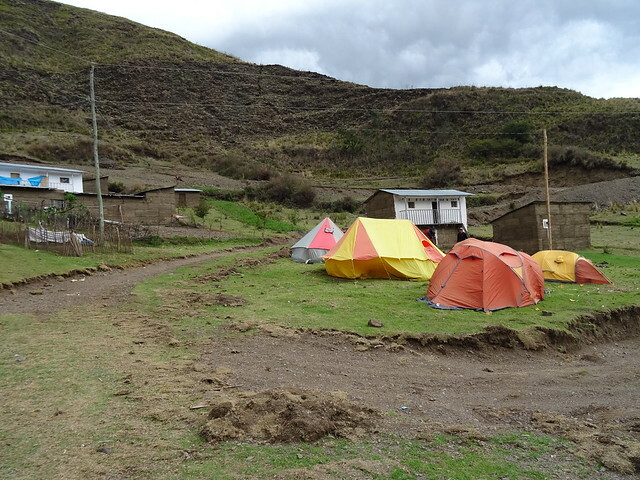 I don’t get summit fever.I didn’t struggle with the decision to leave – but then I almost had to crawl out of base camp. I’ve also questioned climbing high mountains with huge walk-ins. 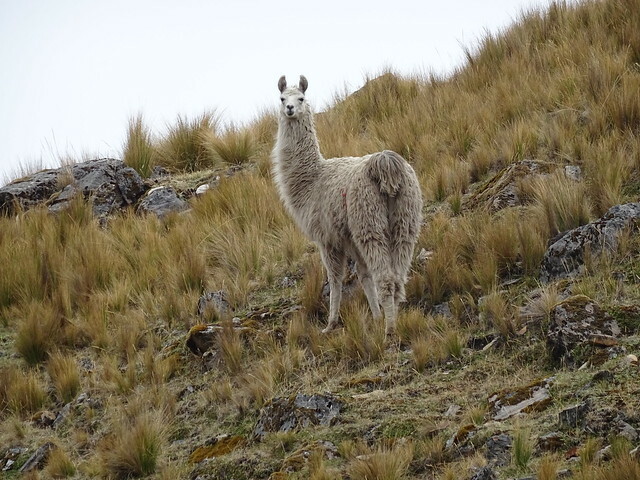 Ancohuma had a 5 day walk in for one day on the glacier. 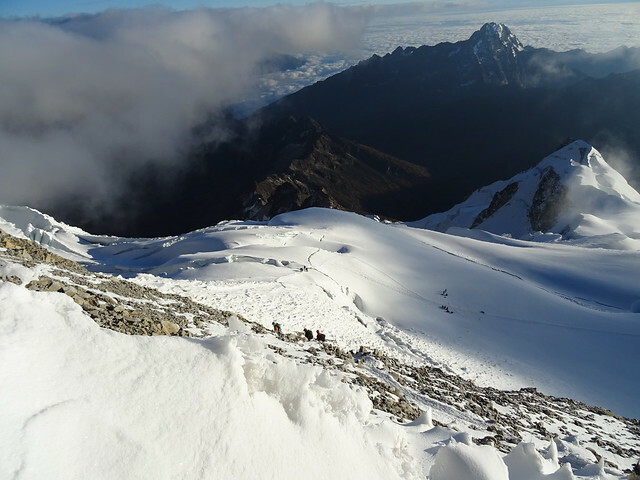 Mera Peak in Nepal had a 10 day walk in for 3 days on a glacier. Where’s the fun in that? The whole point of me wanting to mountaineer is because I crave being on the snow and not because I want to do days of trekking. 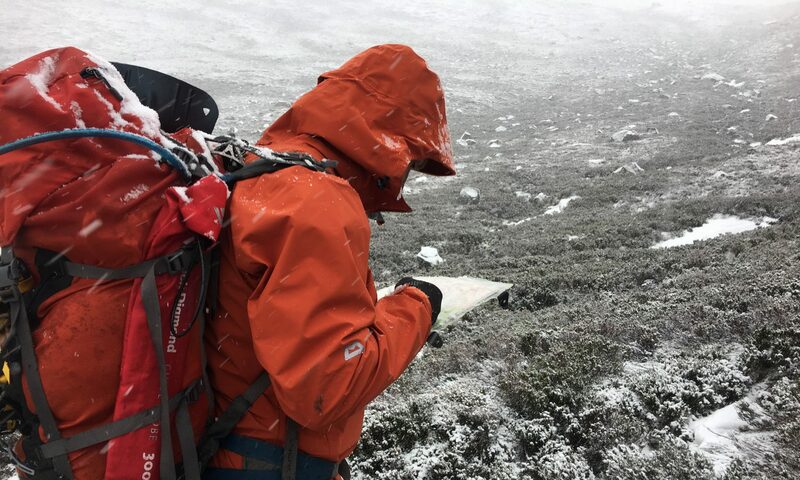 I’ve realised I’d rather do lower stuff to enjoy the snow and ice – if I want to do long treks there’s plenty of long trails of interest that don’t have to ruin my body. 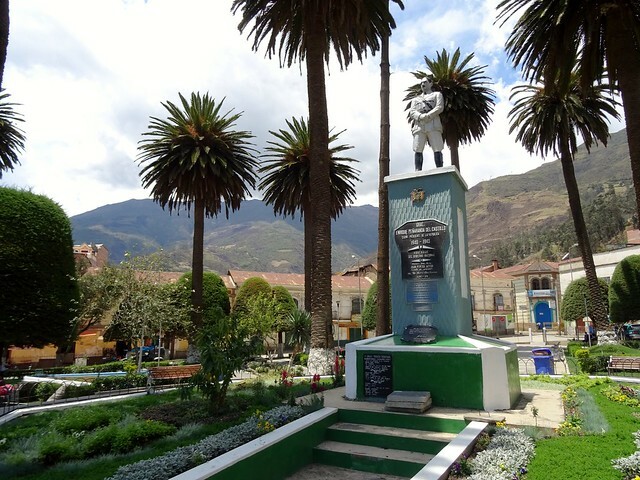 With a week behind me since coming home from Bolivia, would I do it again? Life is to short to do the same thing more than once, the world is too big. 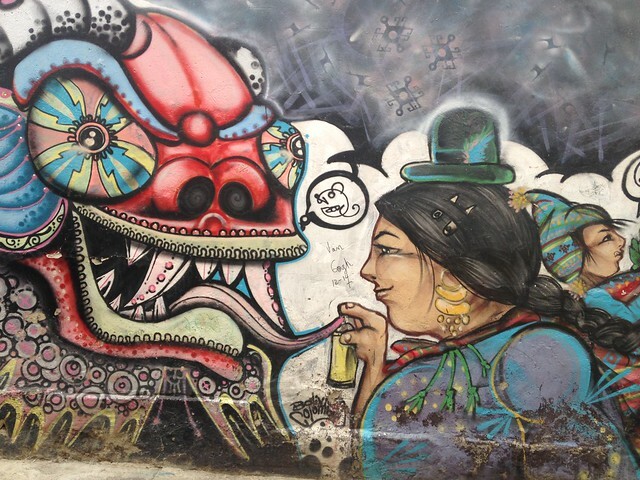 Would I attempt to go high again?…. the rational part of me says no. But then decisions to climb mountains aren’t always rational. So who knows. 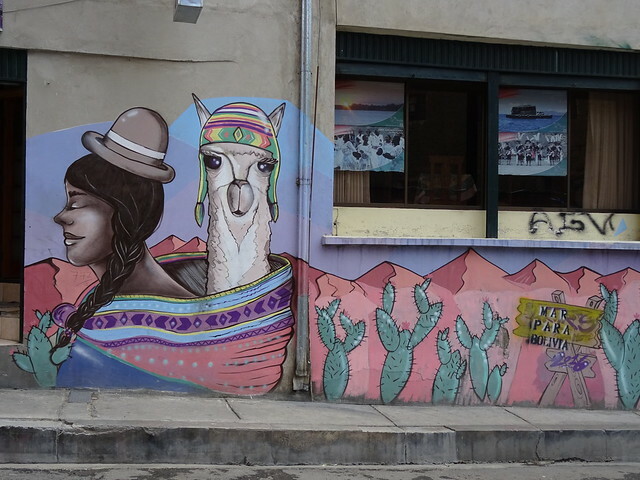 I didn’t intend to spend so much time in La Paz but over the course of three weeks it became the centre point of my trip – somewhere to rest, rejuvenate and explore. The opposite of the rest of my trip which was about endless travel, camping at high altitude and sleeping rough, craving a shower and decent food. 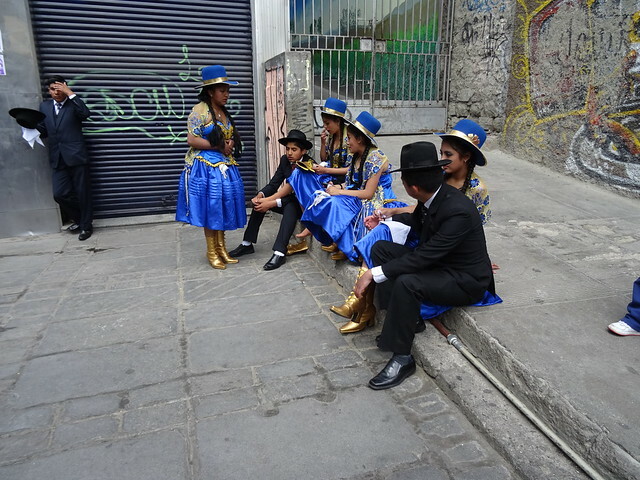 La Paz is a crazy city but weirdly not the maddest place I’ve ever been. 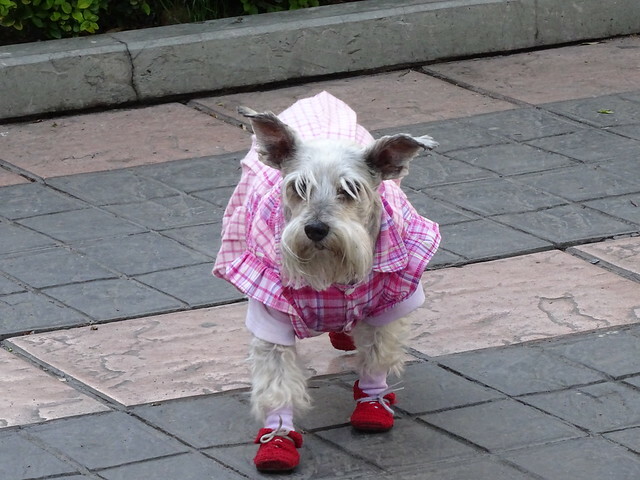 Arriving on Sunday to find the municipal weekly fair in town, an opportunity for children to play in the street and dogs to get dressed up (?!) 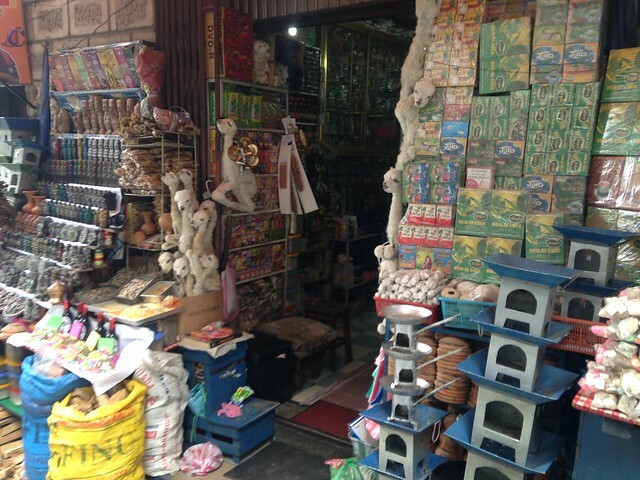 it was somehow much more like home than I expected! 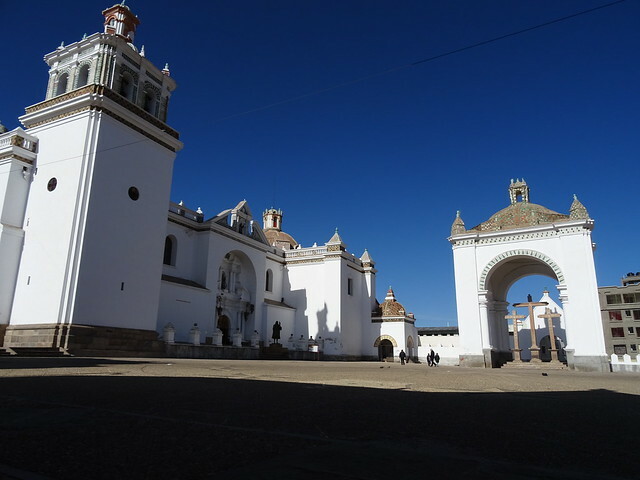 After a strong coffee (well its actually hard to find strong coffee in Bolivia despite it being a coffee producing nation) I wandered up to San Francisco Cathedral and the back streets around it – Sagarnaga and Linares – where most of the tourist curio shops reside. 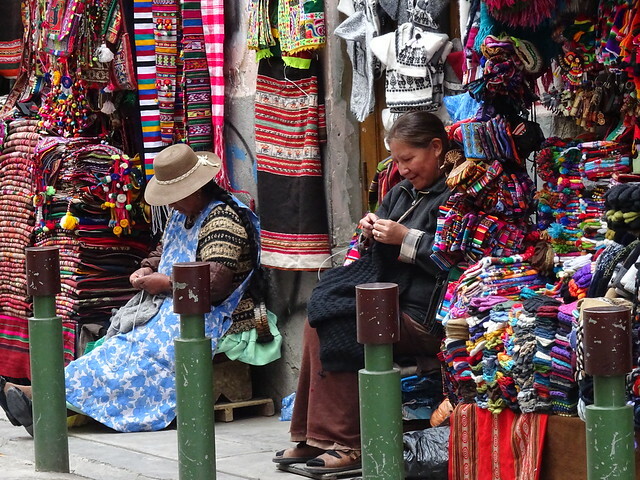 Its a good place to start to get a taste of Bolivian culture, shops that spill on to the streets, with women outside knitting – and also to get acclimatised to the steep streets that at 3800m above sea level will leave you completely breathless. 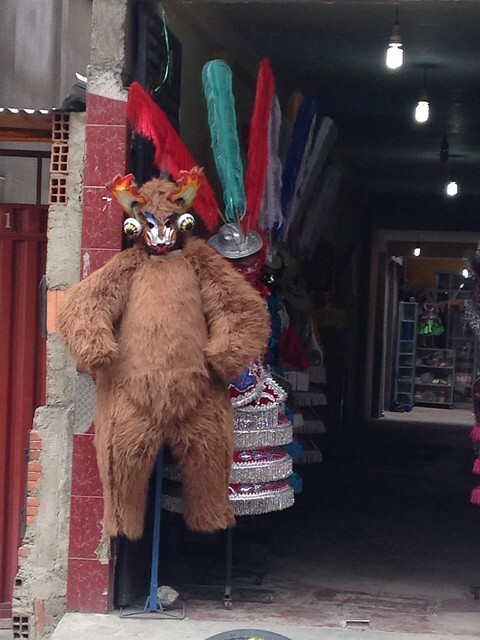 I eventually stumbled on the Witches Market – a series of streets where baby llamas are strung up for sale to be buried under new housing as protection and good luck. 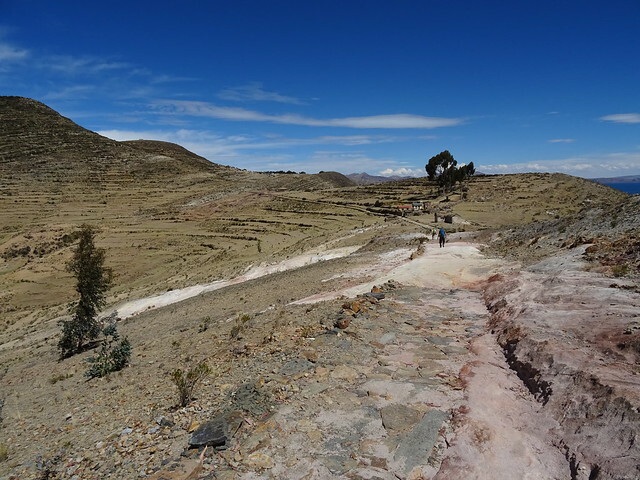 The following week back in the city after one trip camping, I met up with a friend on her travels through South America and had a trip out to Valle de la Luna – Valley of the Moon. 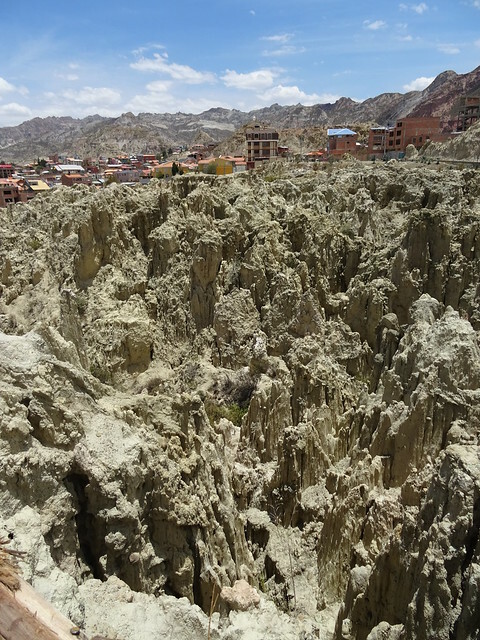 The geology of La Paz is crazy enough – a city sat deep in a valley cut in to the high plateau and despite the whole place being built on mud and rocks the city manages to still being jam packed and spill out of the valley and across the El Alto plateau. 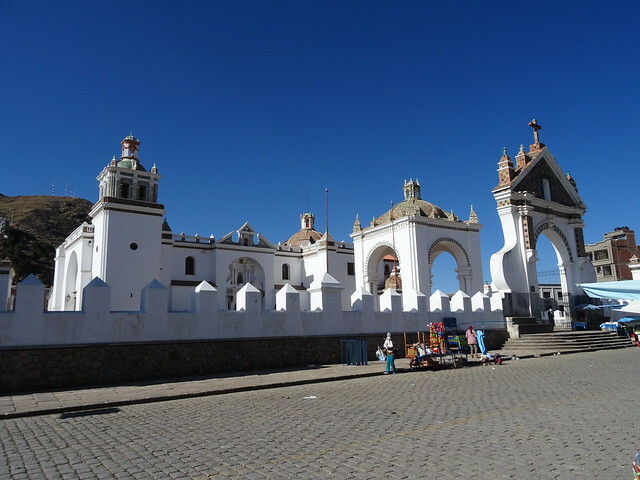 An expansion which is currently ongoing and resulting in a massive road and house construction programme around 10 miles of more around the edge of El Alto. 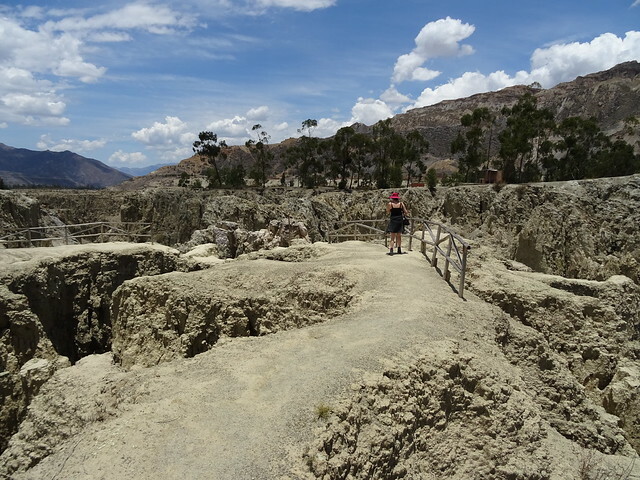 Its certainly a crazy landscape and while the Valle de la Luna is maintained as a ‘park’ area, it is worth visiting to see the geological wonder. 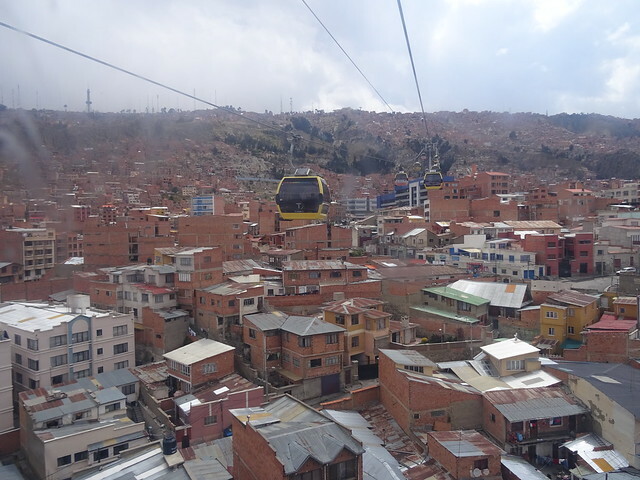 The easiest way to get around La Paz has to be the cable cars, there’s currently three operating – yellow, green and red – although construction on blue and white routes are currently underway. 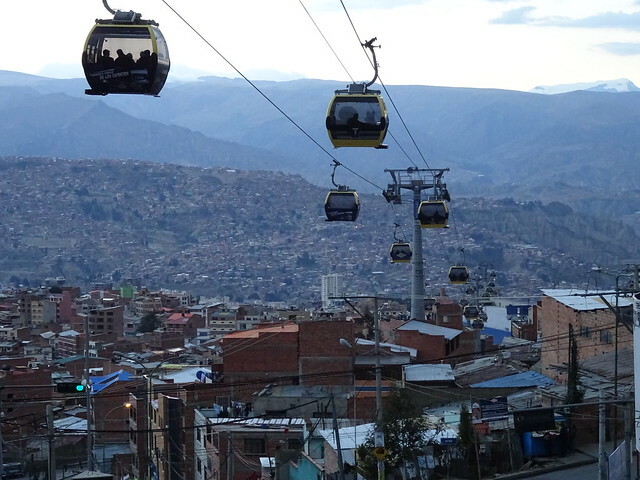 I love the cable car for being a quick way to get up to El Alto for views across the city, and for being only 3 Bolivianos – about 30p – which means that it is affordable for all Bolivians to use. 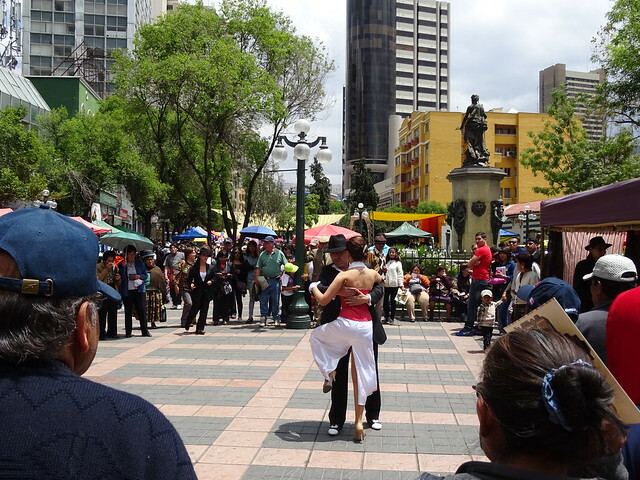 After a few days wandering the streets and riding the cable cars I found Avenue Los Andes. 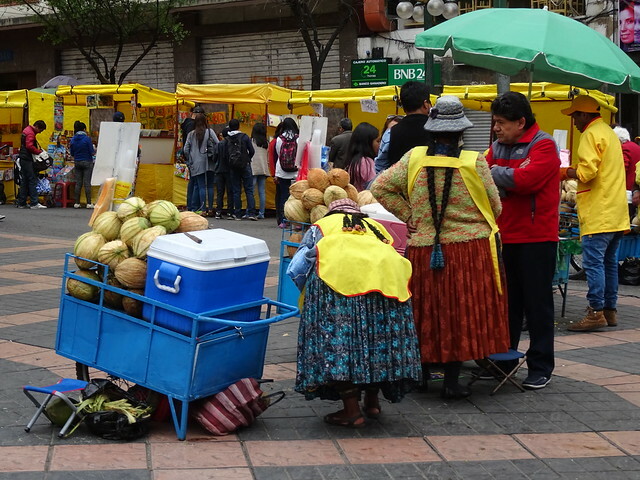 A back street tucked away behind the maze of streets buried by markets stalls, Los Andes is an interesting street and not just because it is so steep its almost vertical. 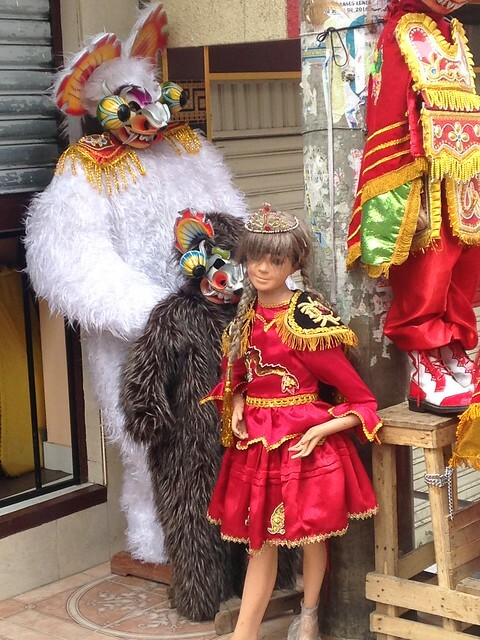 It has the city’s collection of costume shops covering all Bolivian traditional festival costumes. 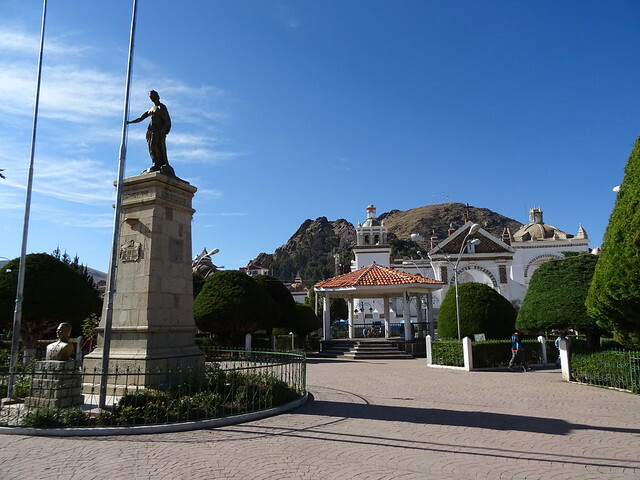 When I finally got to the top of Los Andes I found the city’s graveyard, an interesting place to visit to see how a city as crowded as La Paz deals with its dead. 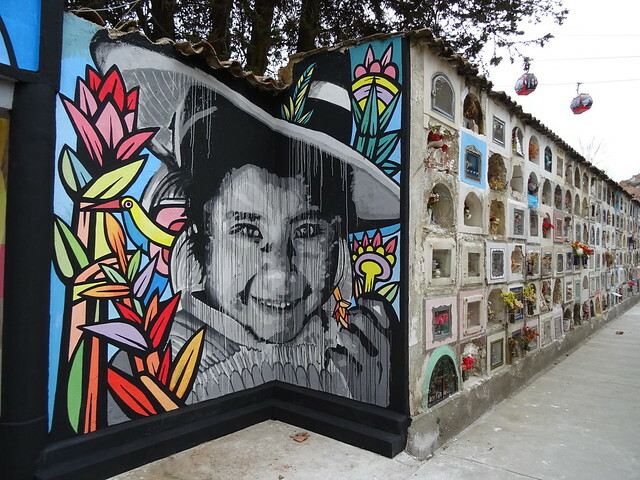 All graves are only occupied for a maximum of 10 years but this means they are well cared for and visited often. 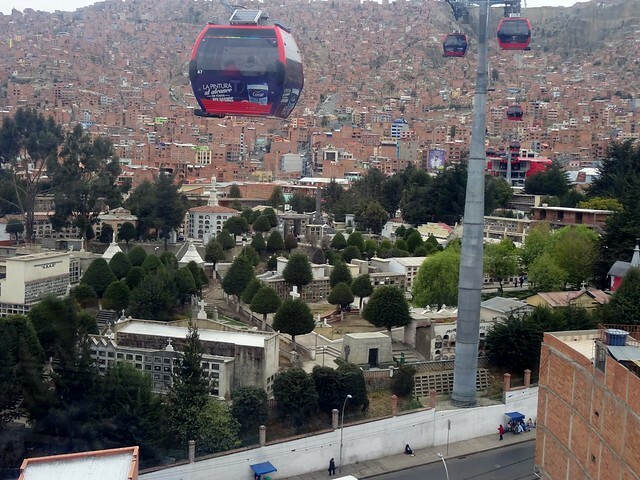 The cable car provides a great view down into the graveyard too. 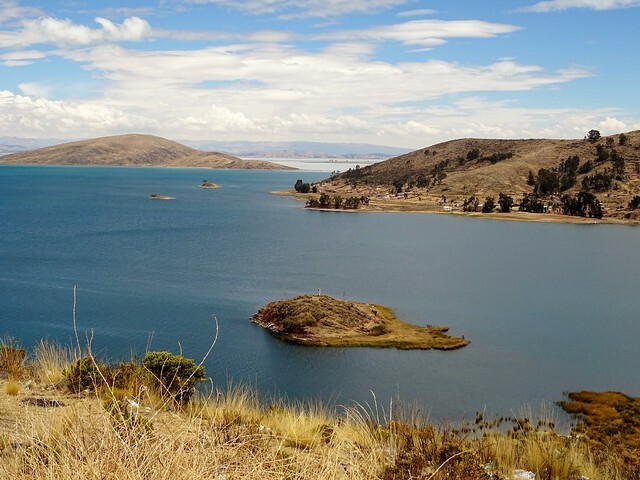 As my whole trip to Bolivia found, October isn’t a great month to visit as its coming into the wet season, so thunder storms and rain can appear at any point. 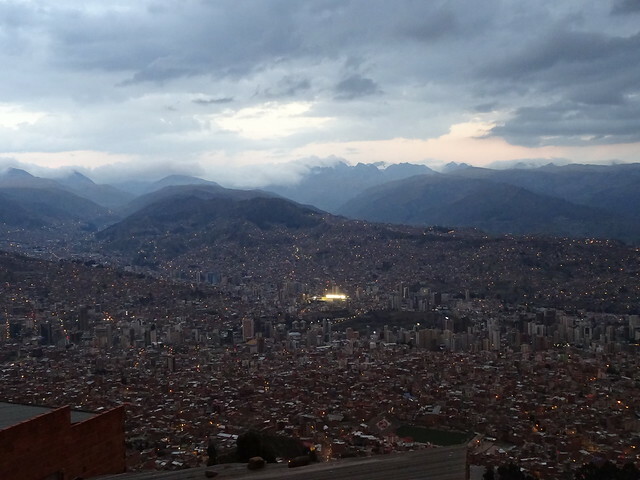 Though the cable car provides a great photo opportunity for impending storms.